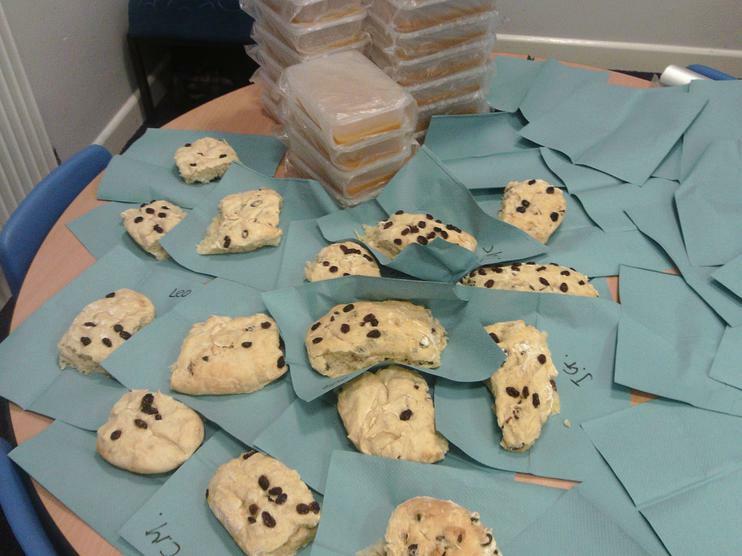 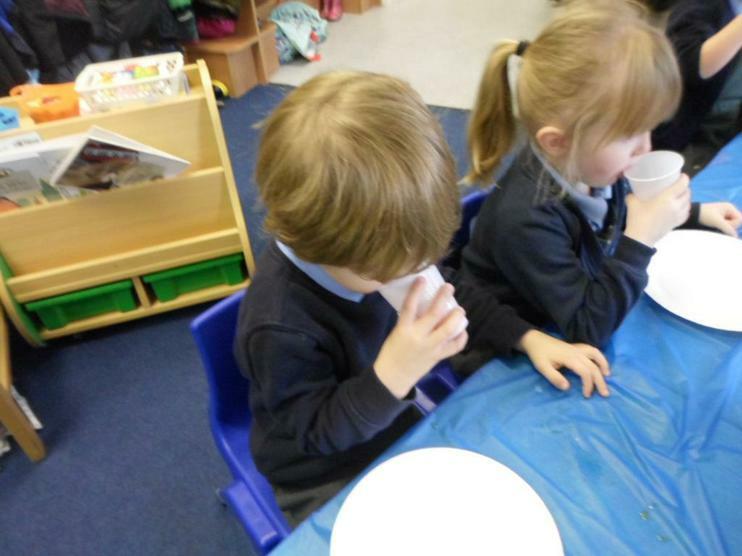 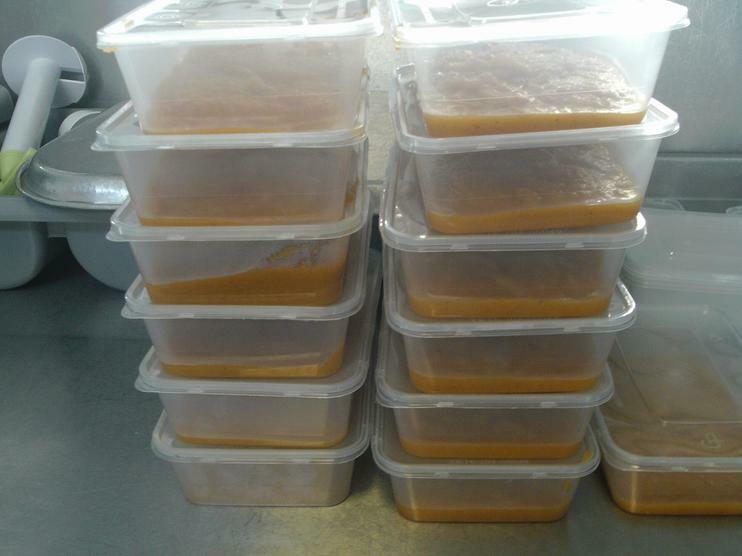 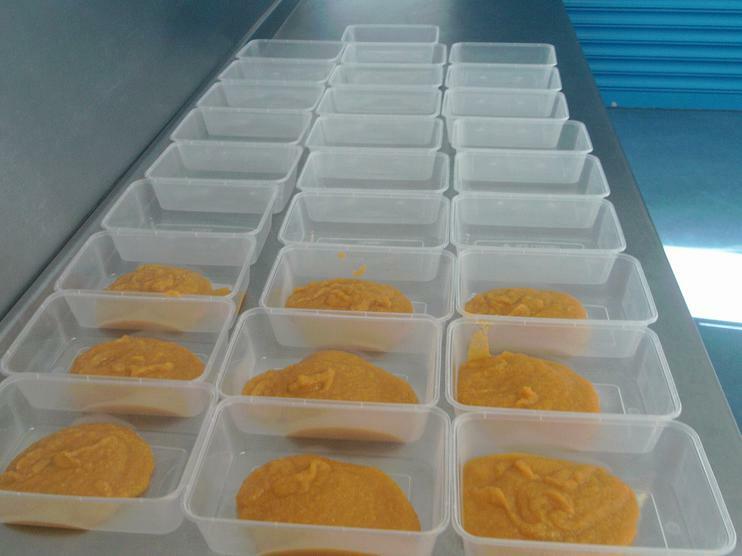 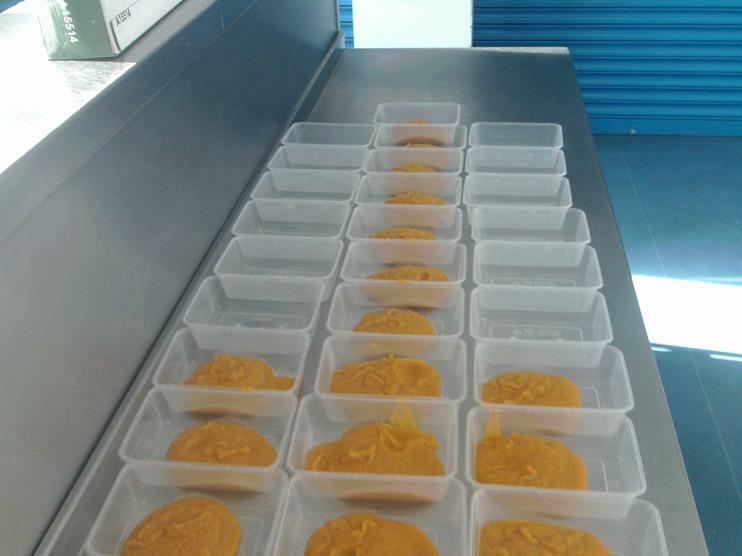 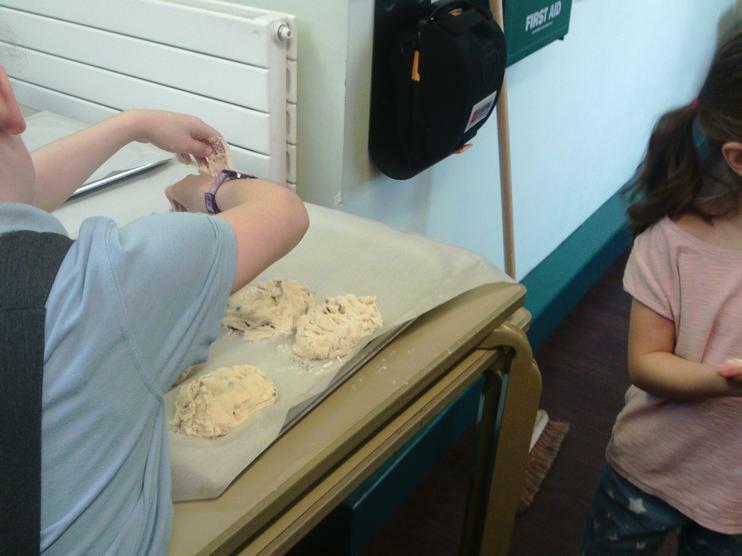 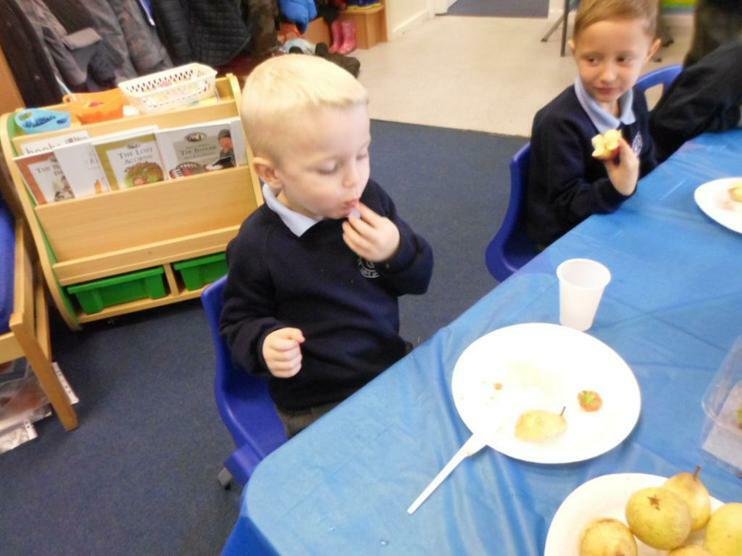 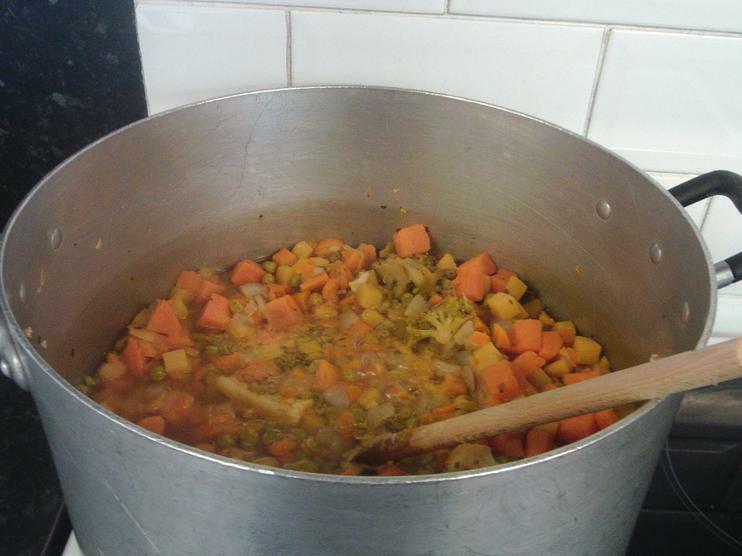 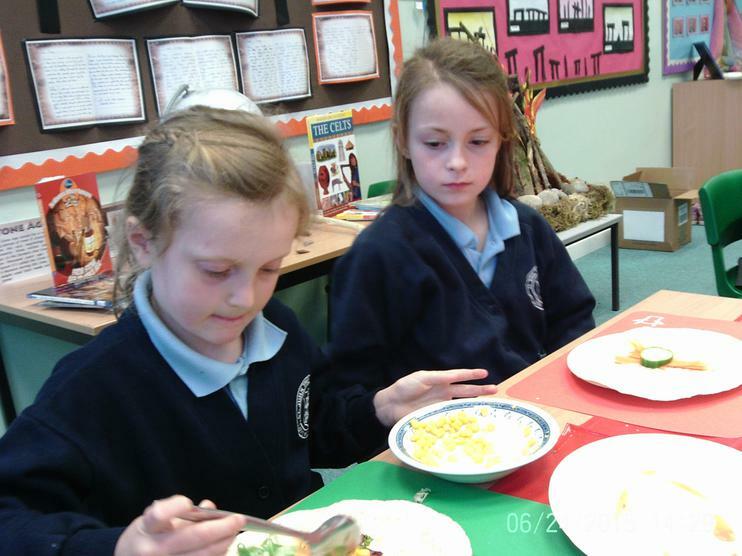 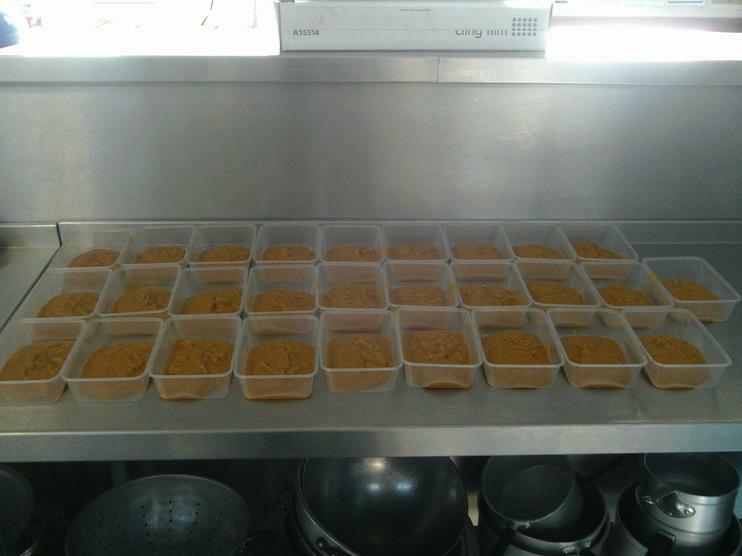 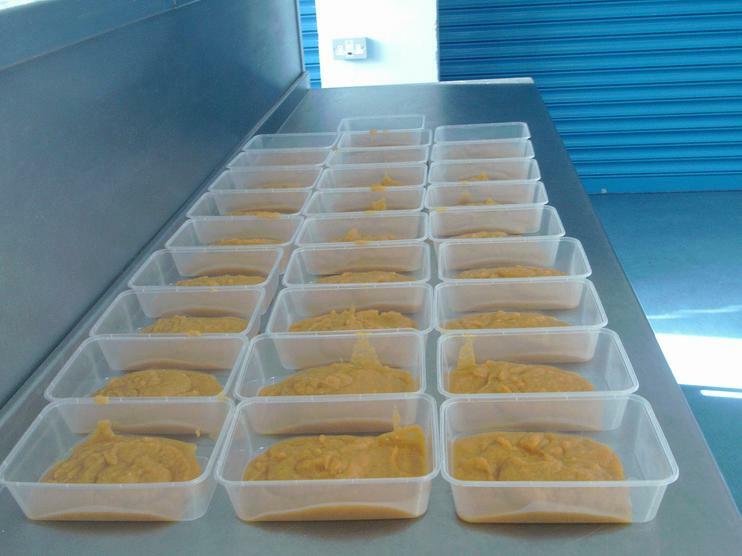 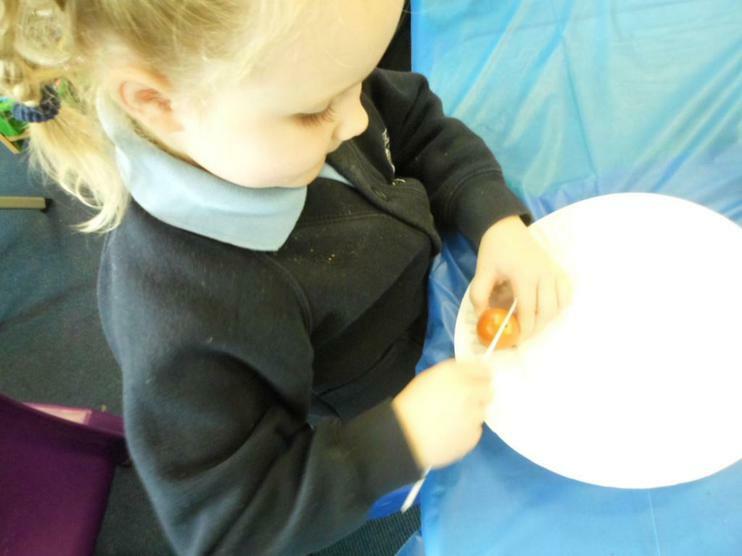 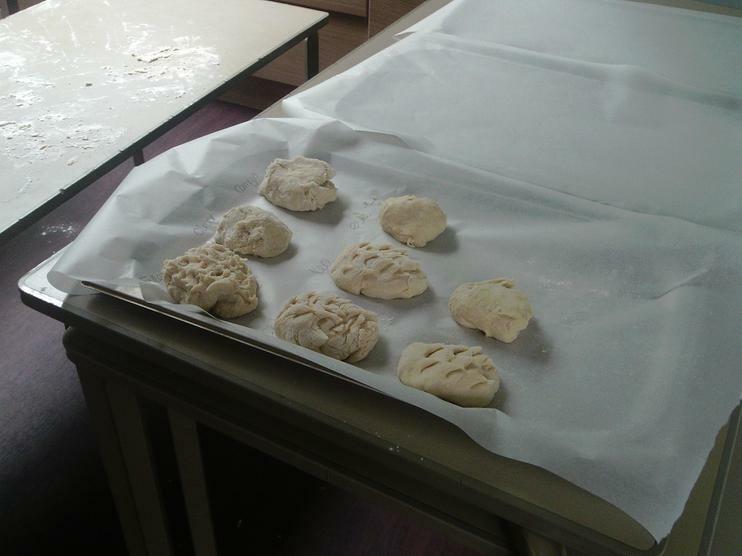 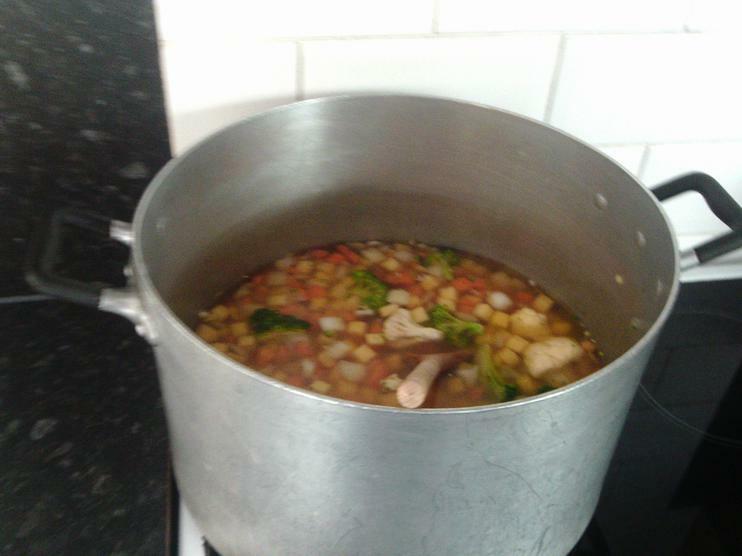 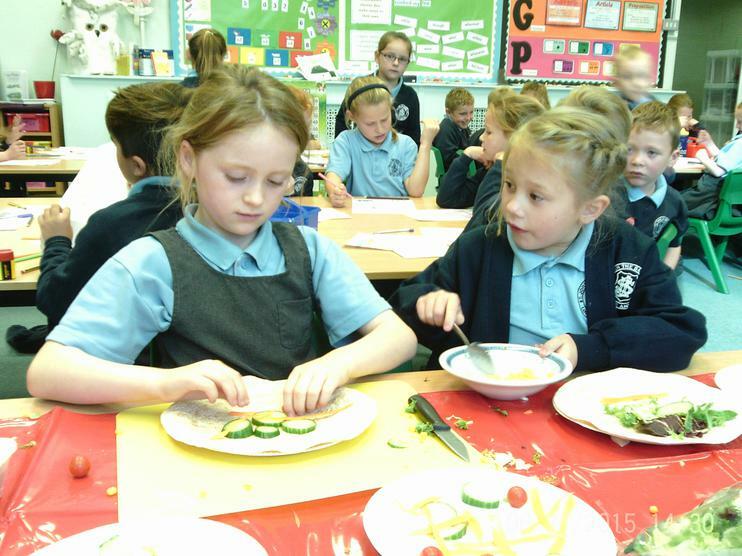 Today Year 2 made some healthy vegetable soup and some 'Hedgehog' bread. 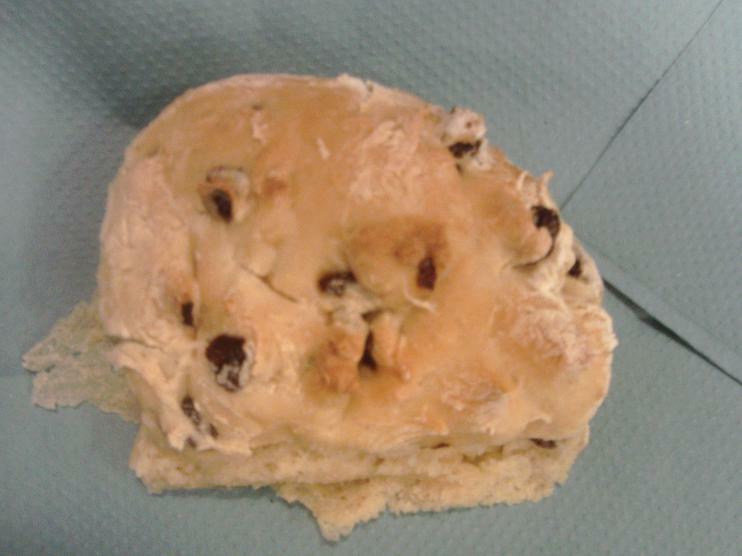 (No hedgehogs were hurt in making this bread!) 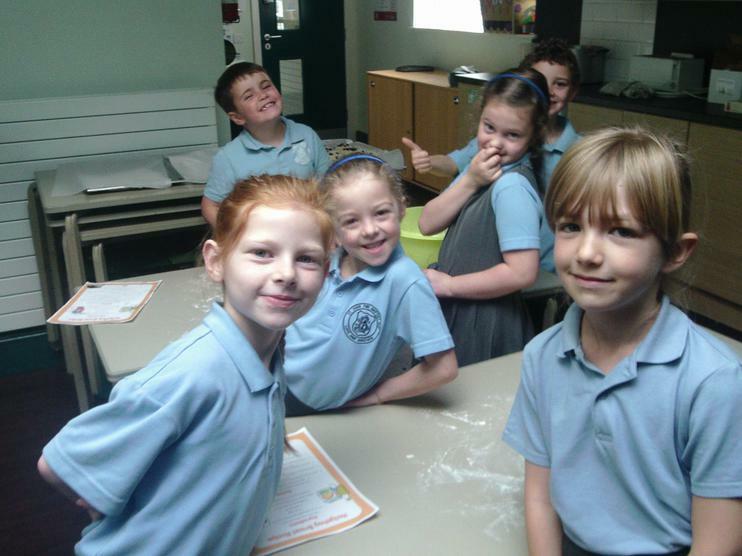 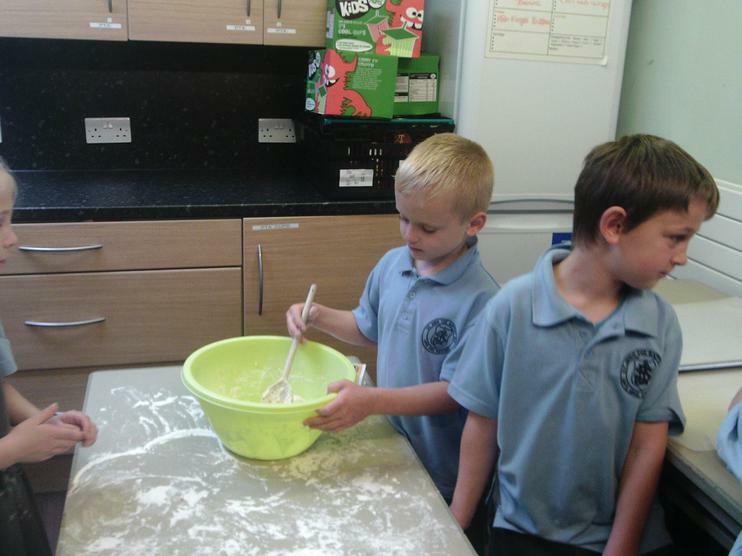 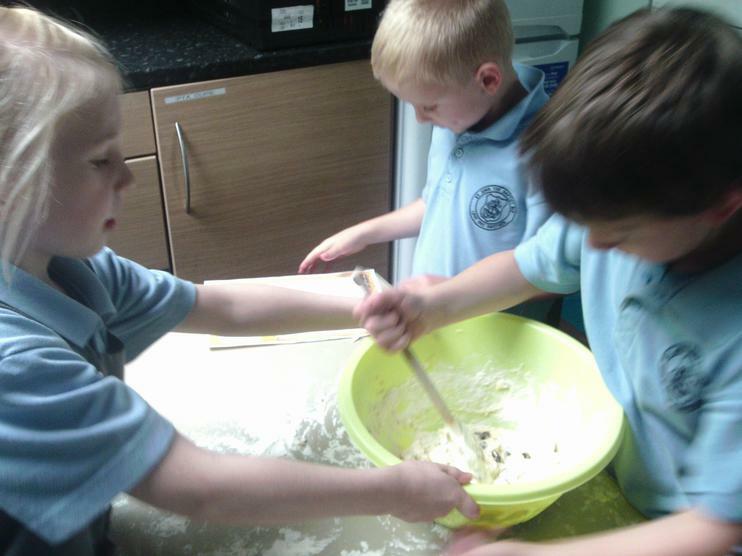 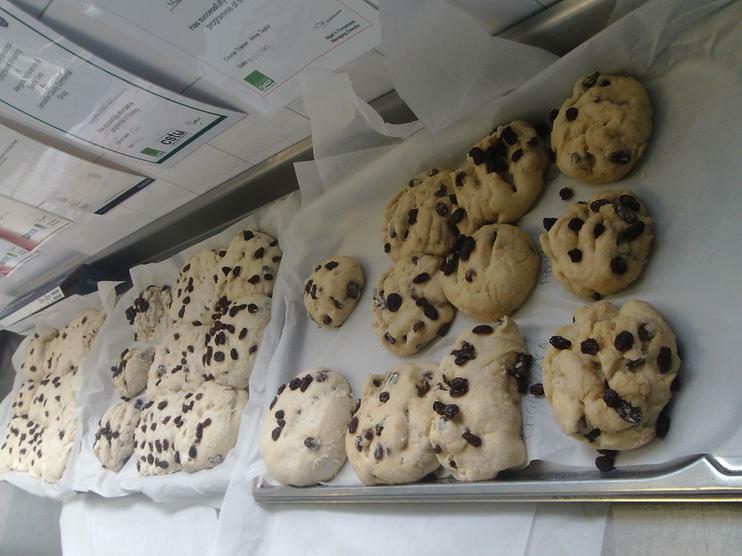 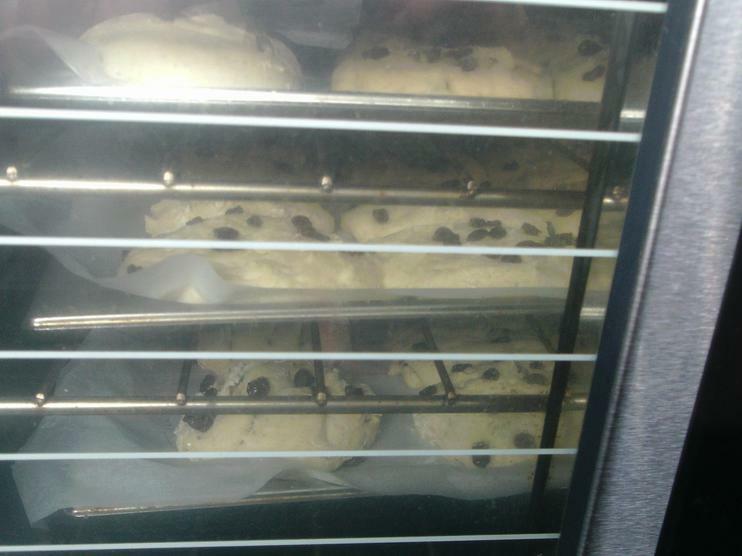 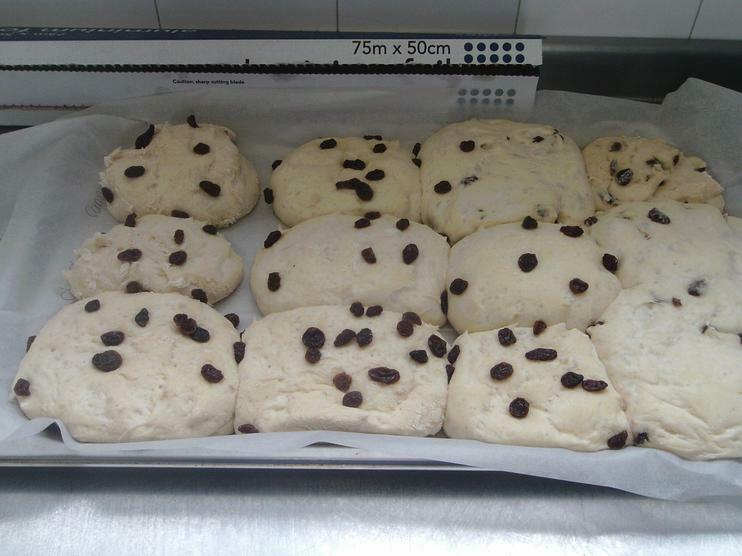 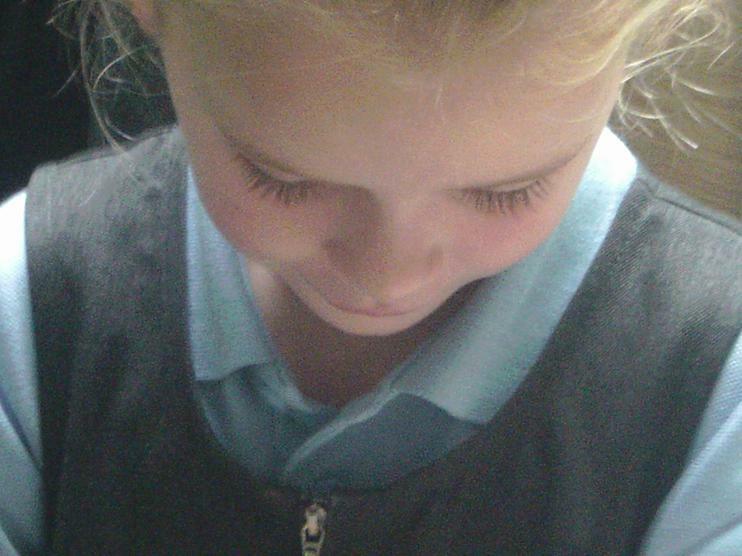 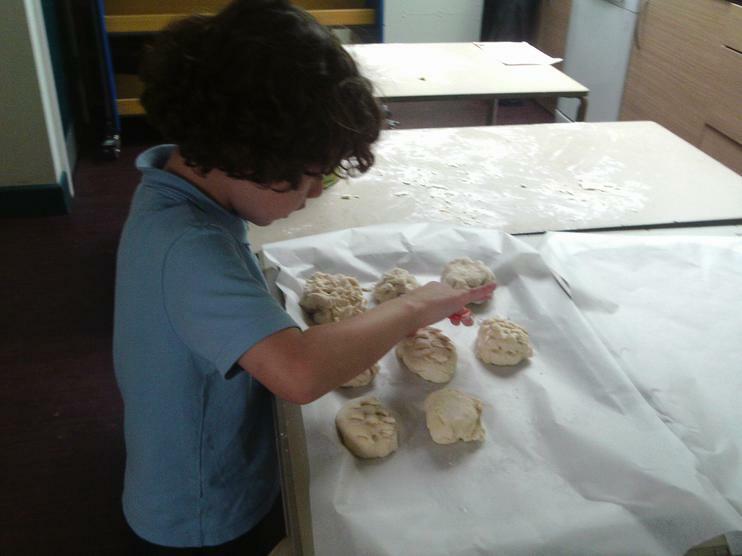 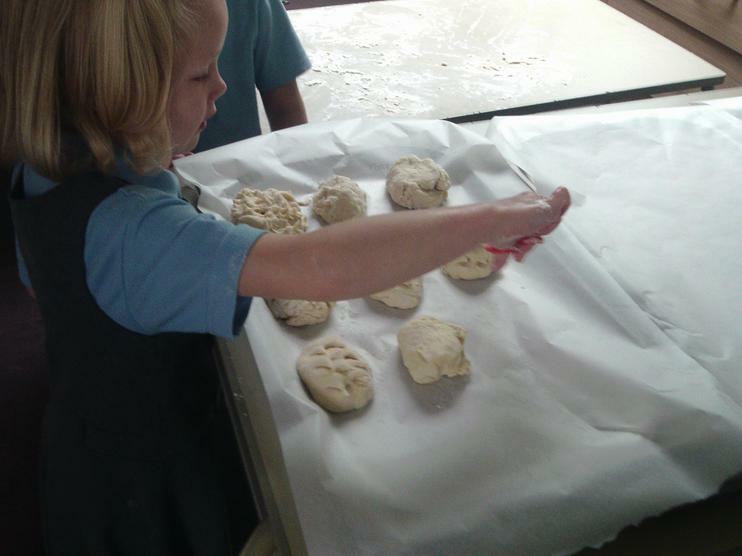 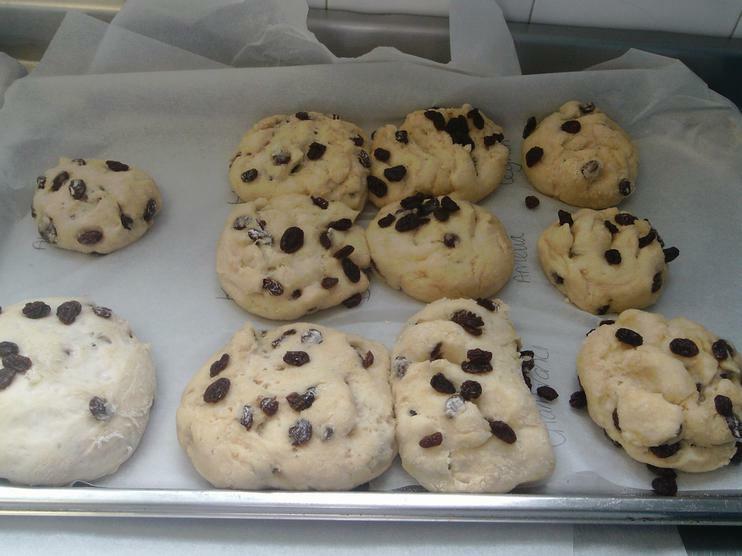 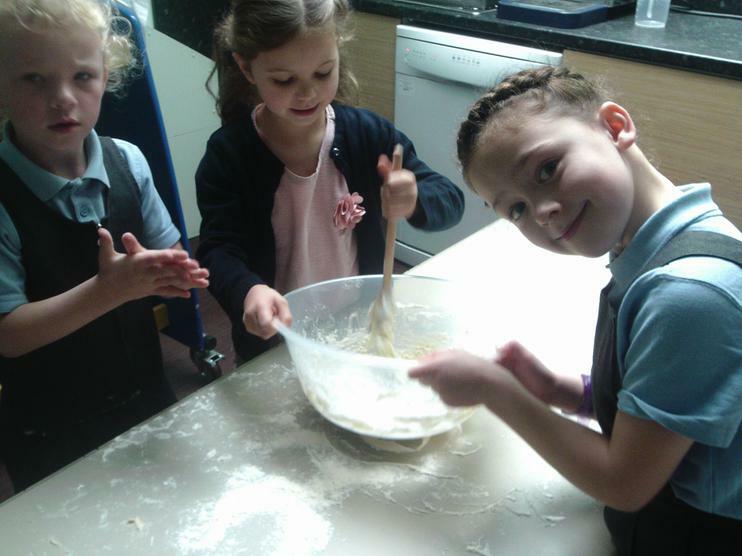 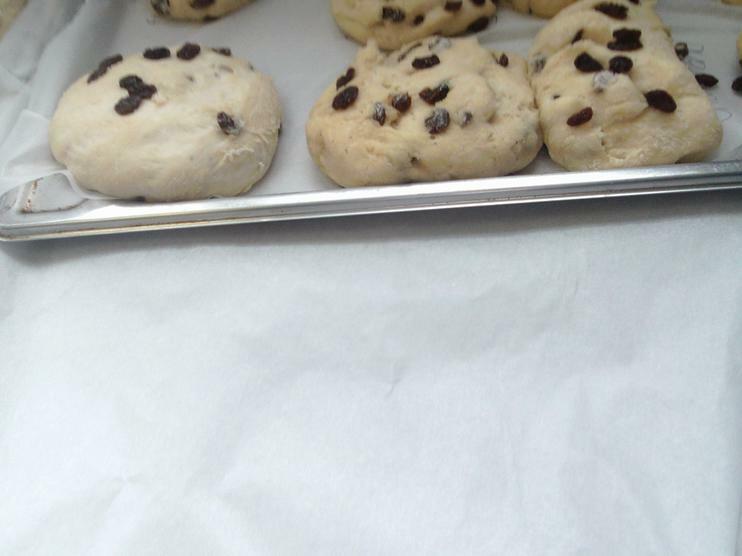 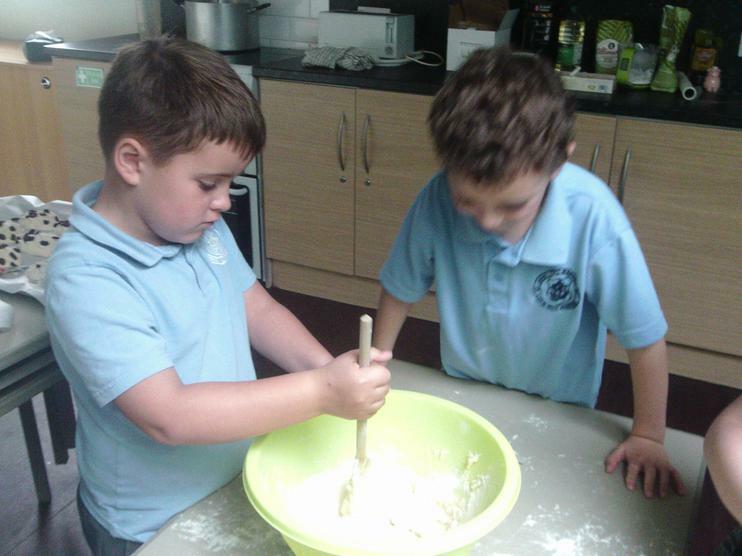 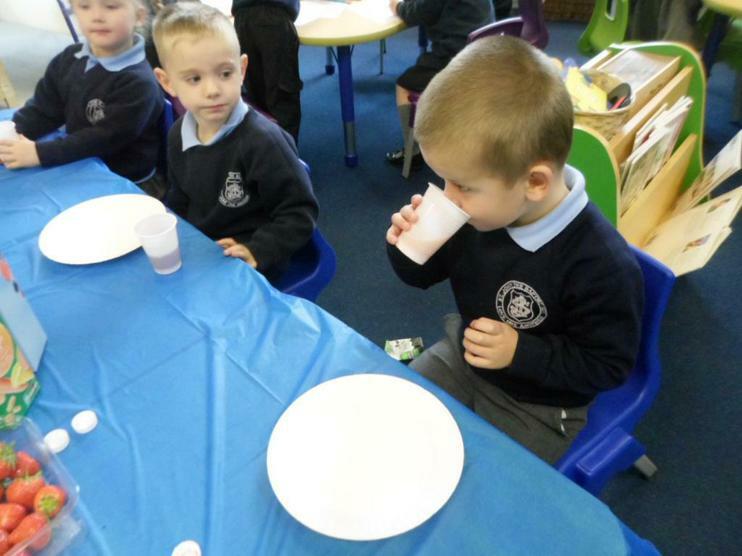 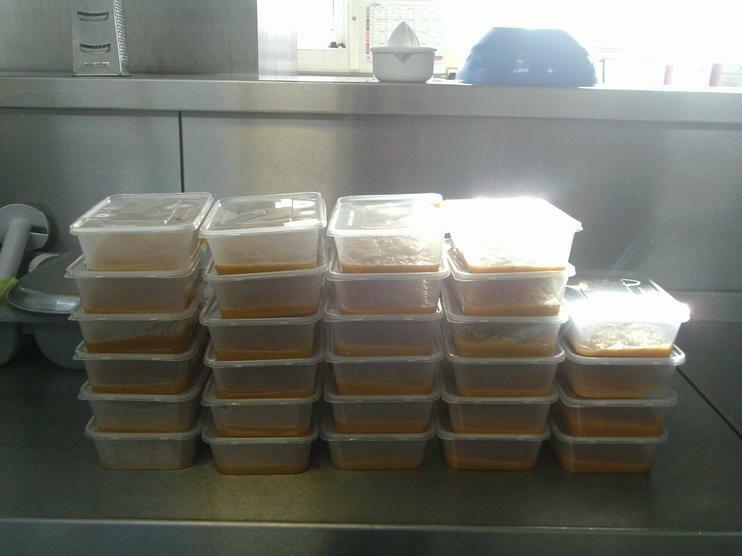 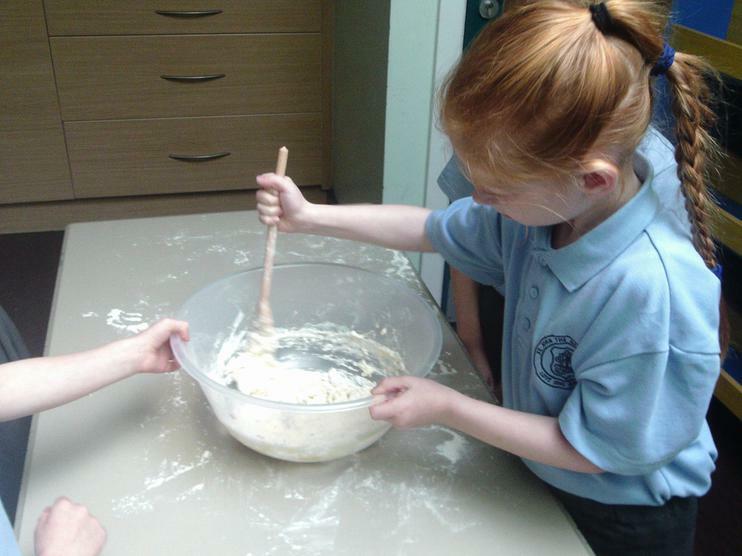 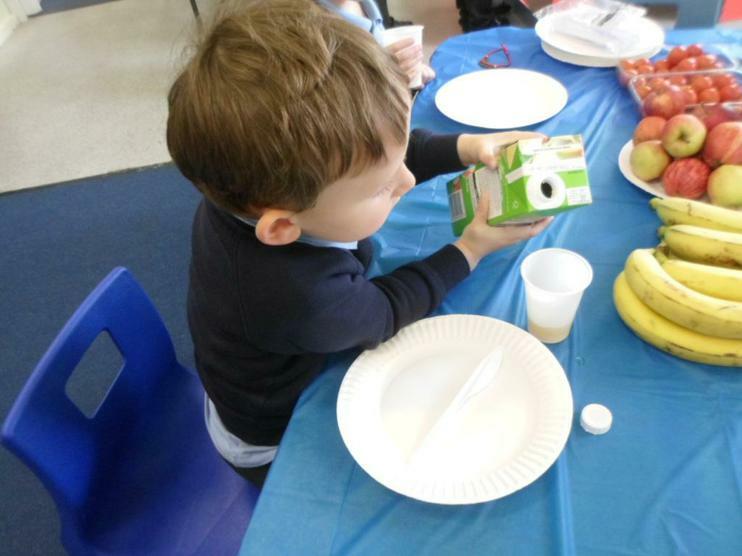 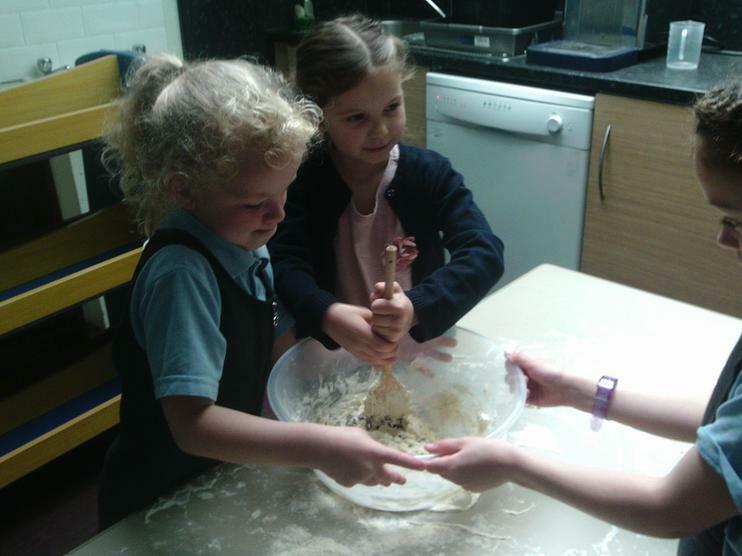 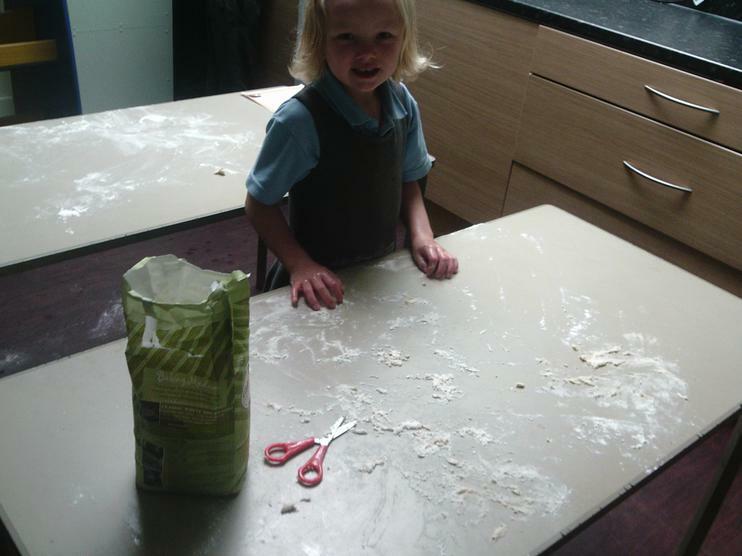 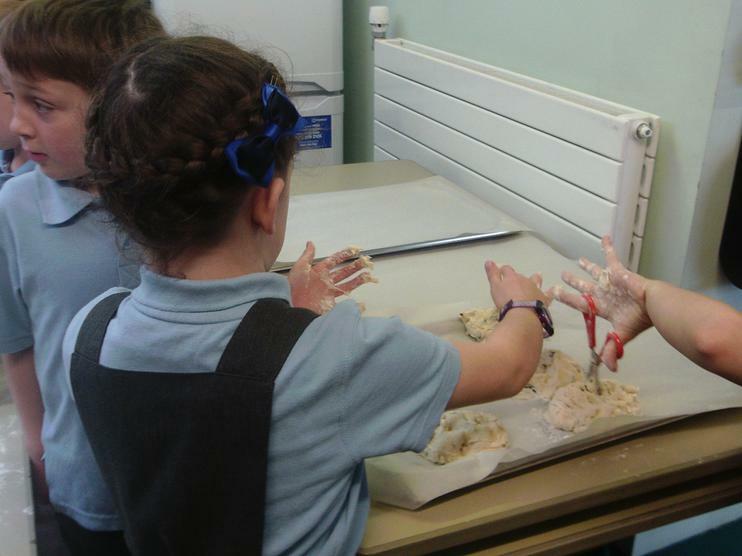 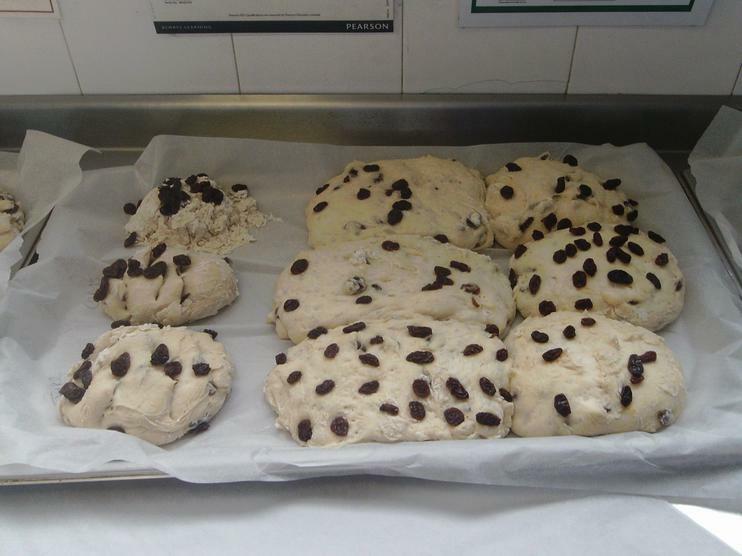 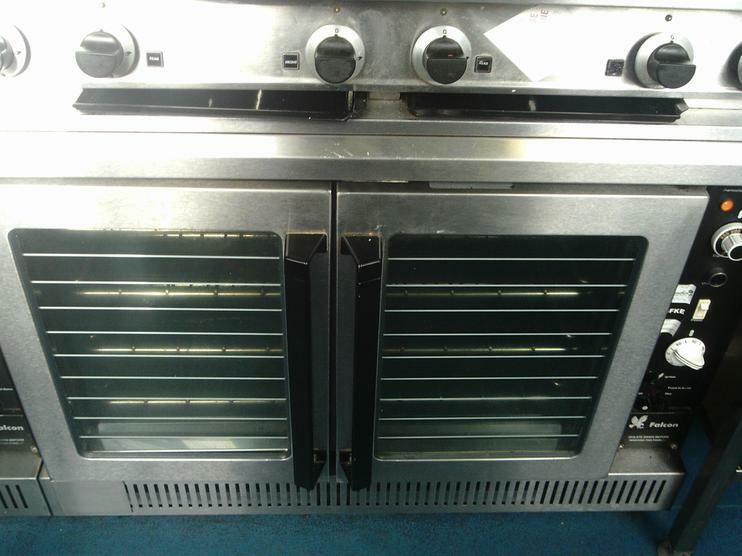 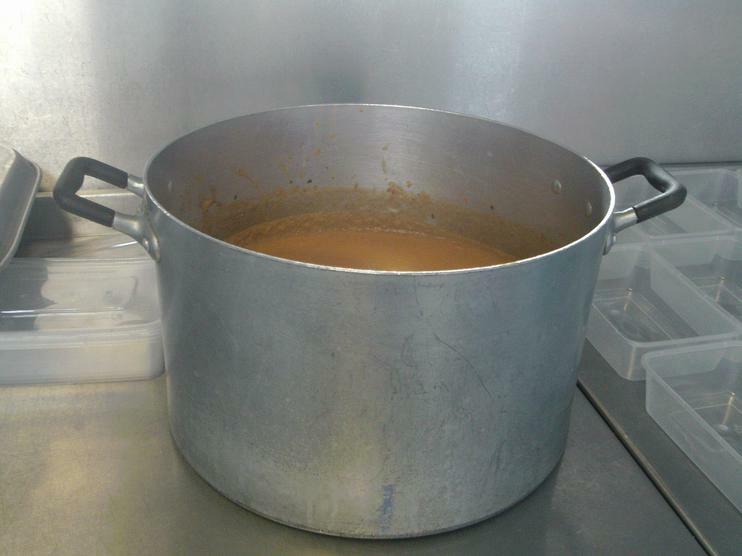 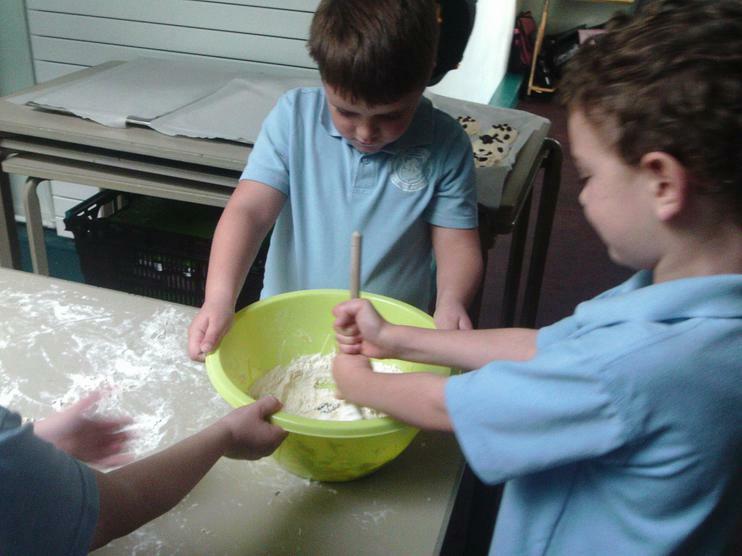 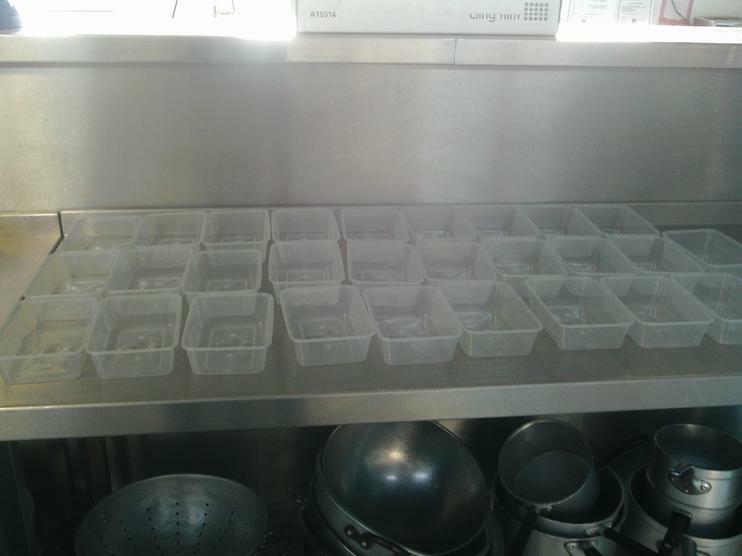 Mrs Parker thought that the children showed excellent behaviour and safety awareness in the kitchen. 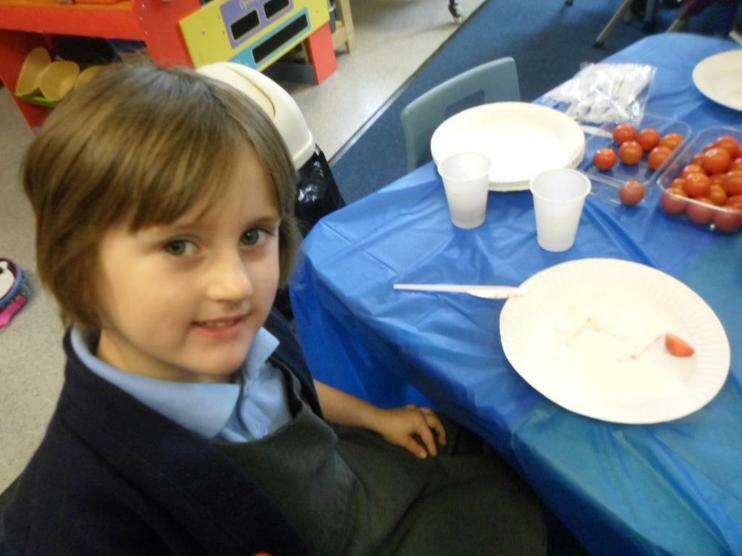 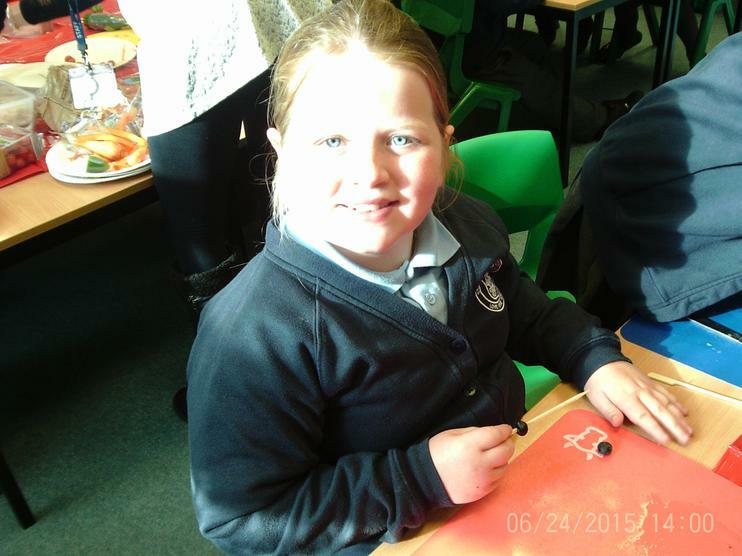 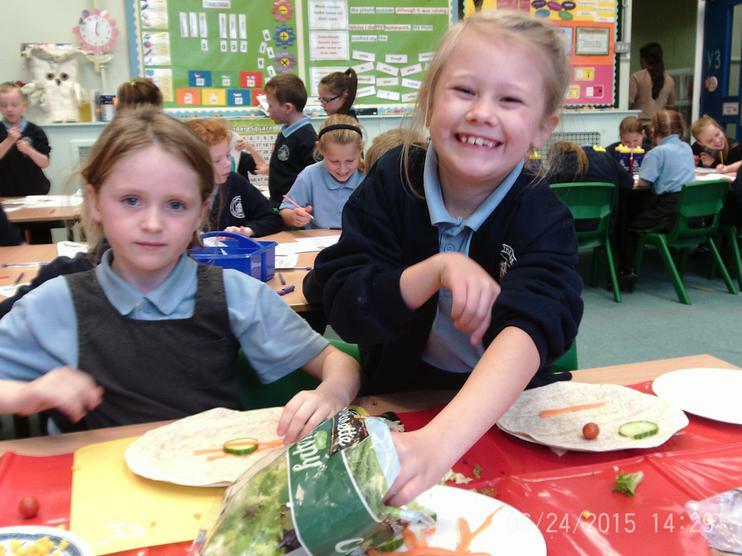 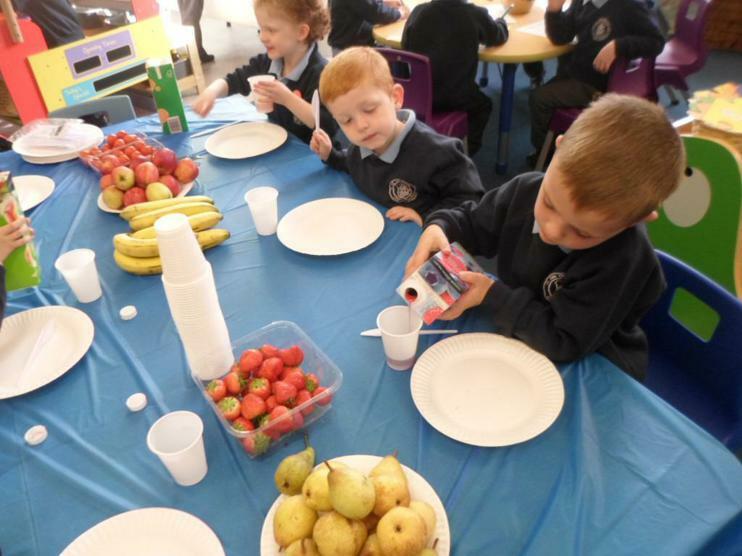 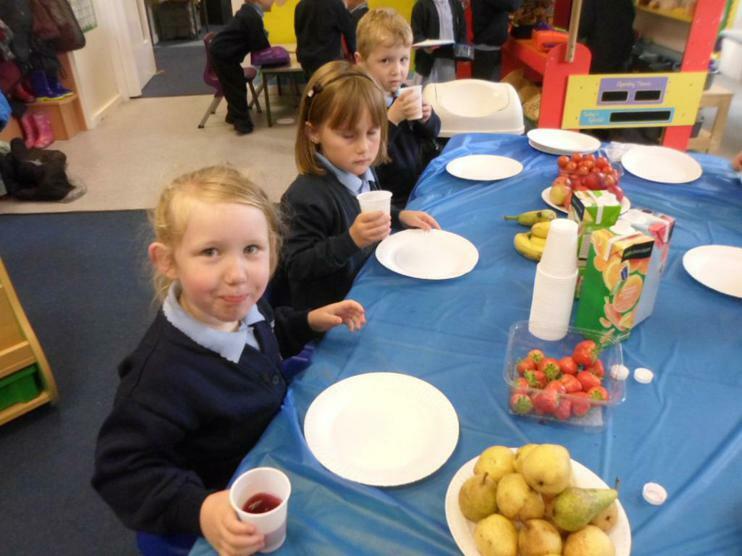 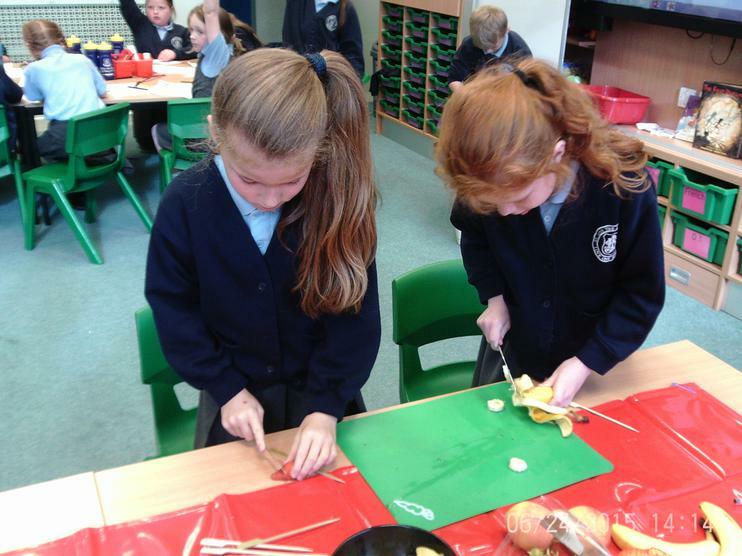 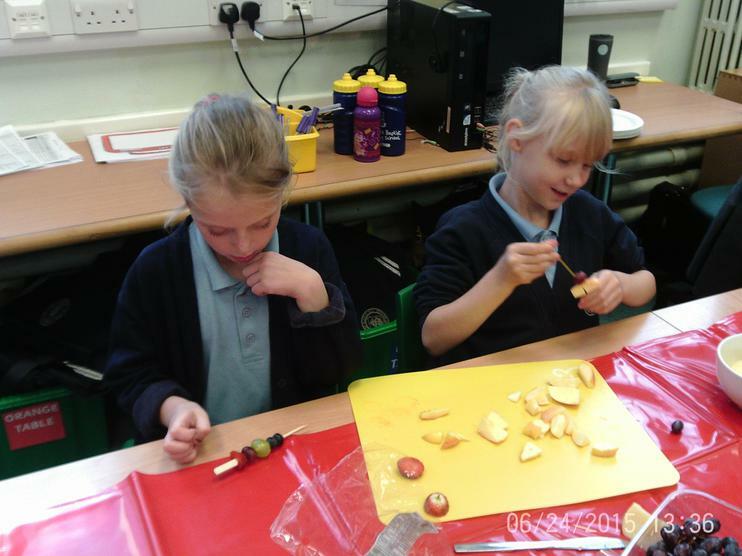 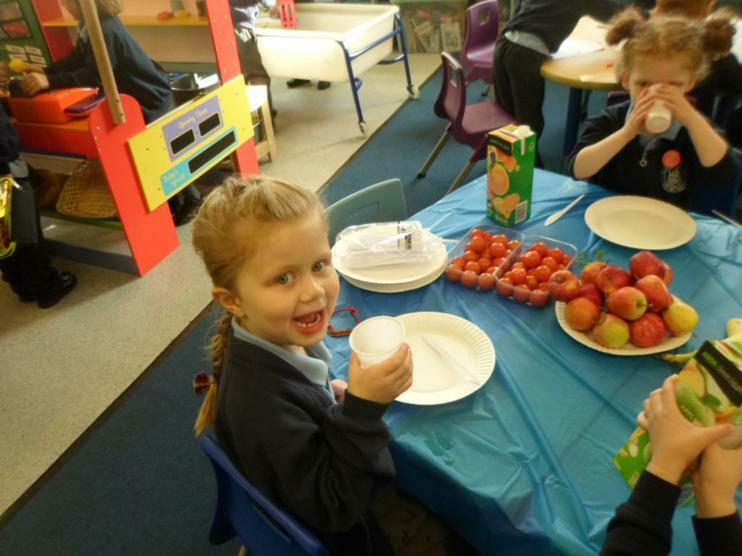 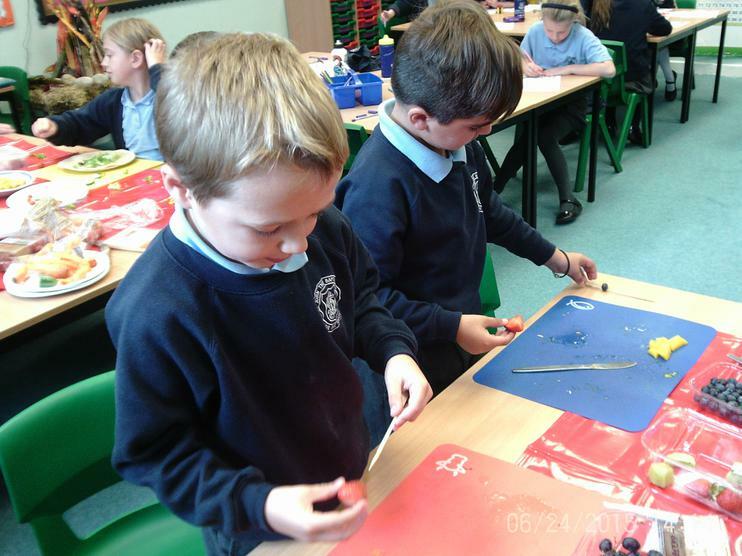 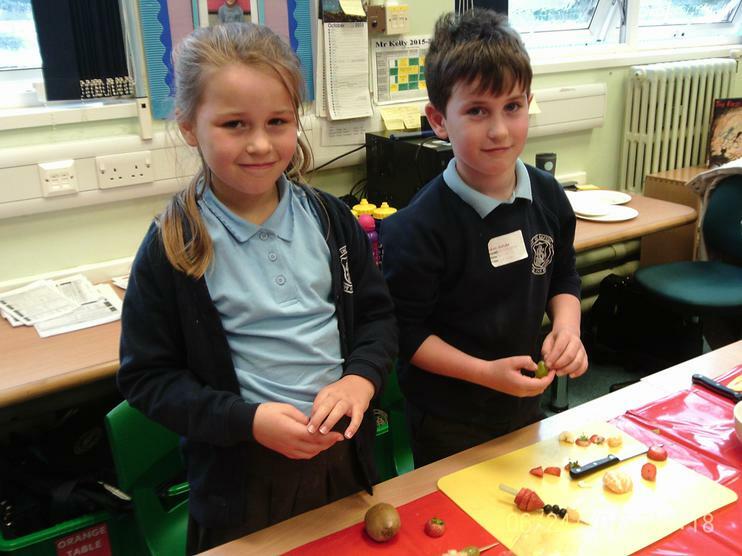 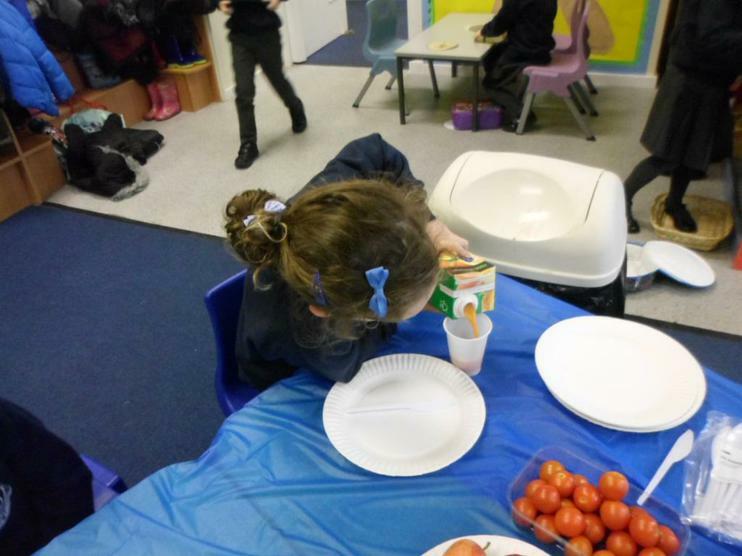 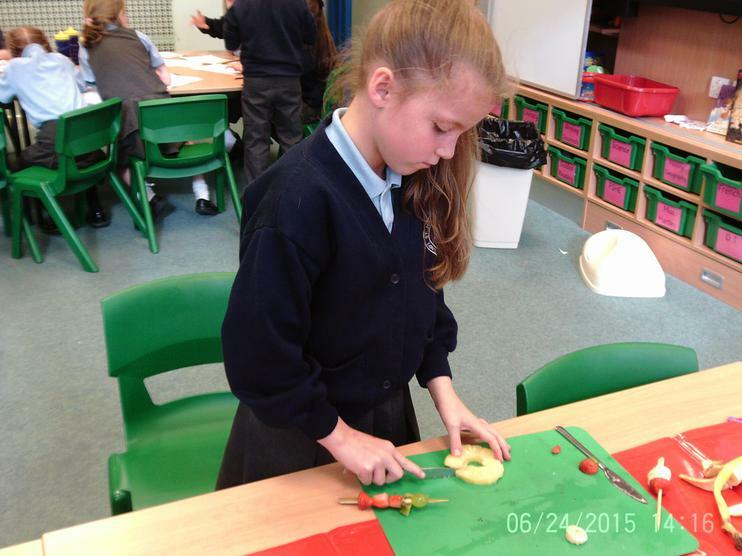 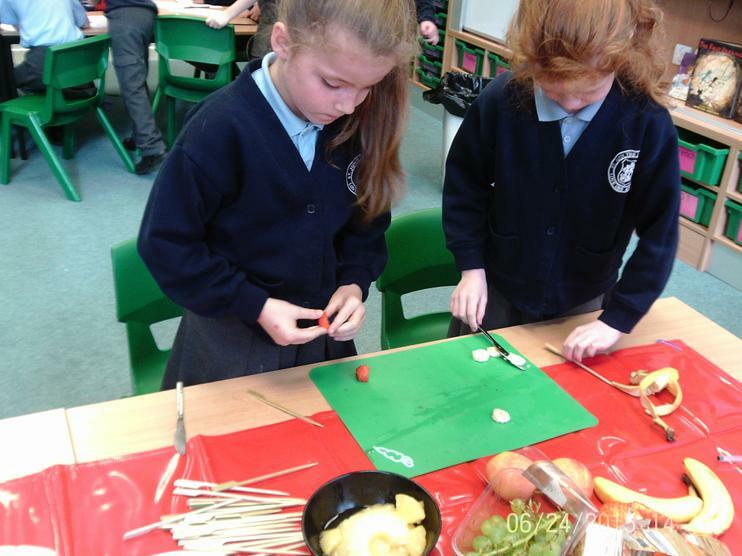 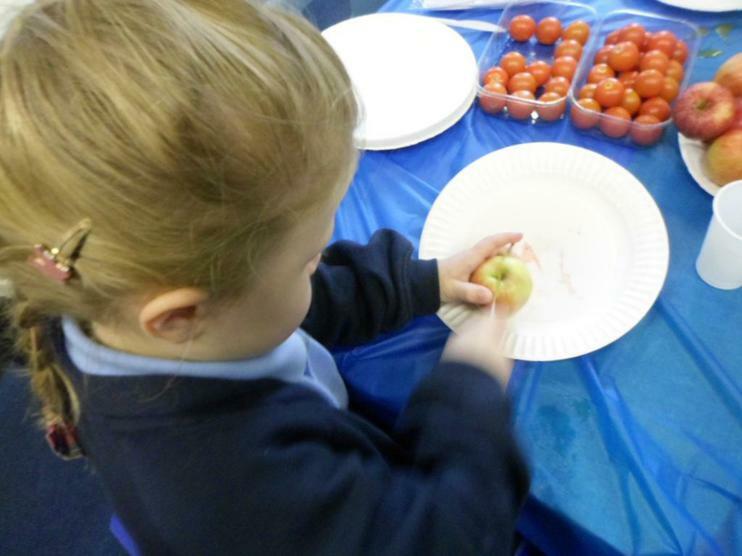 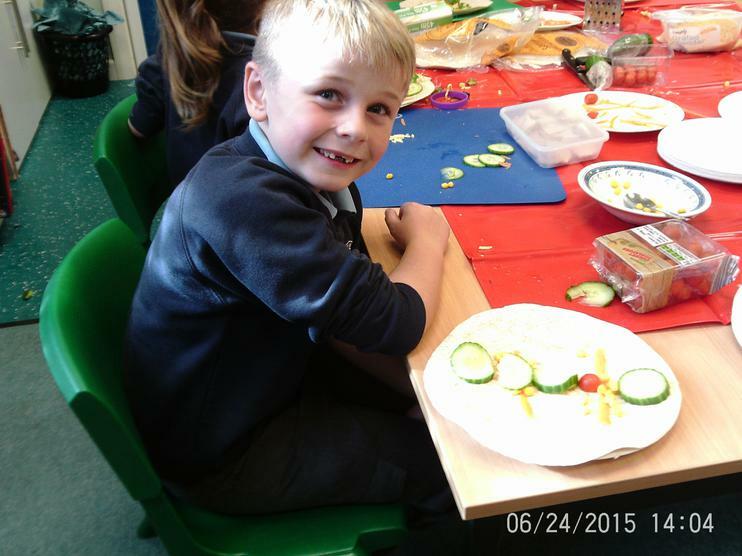 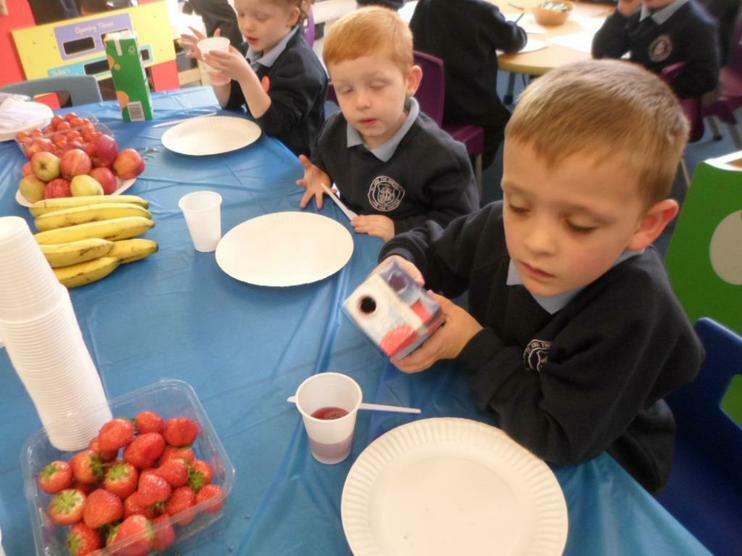 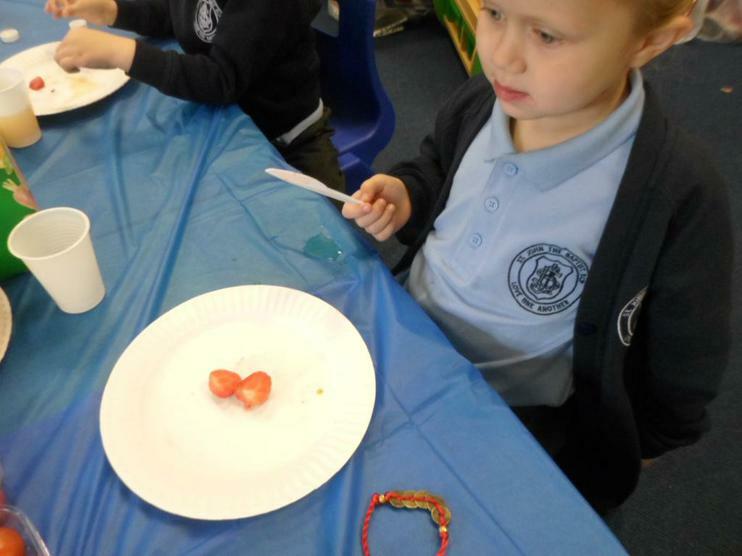 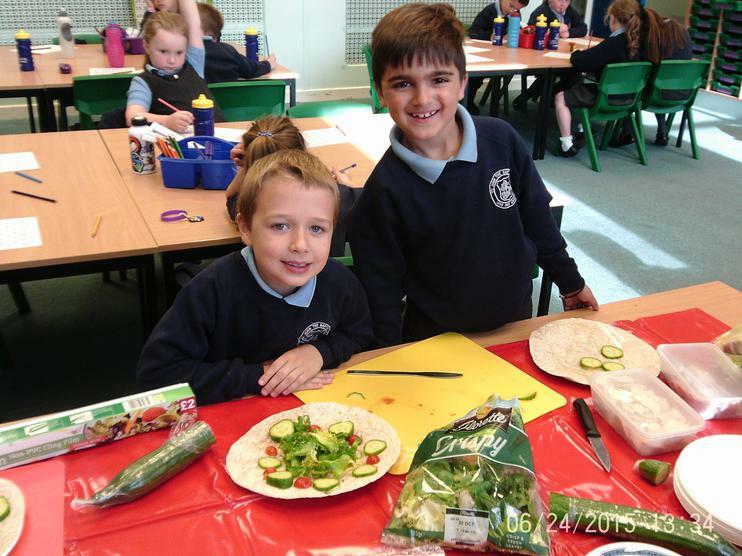 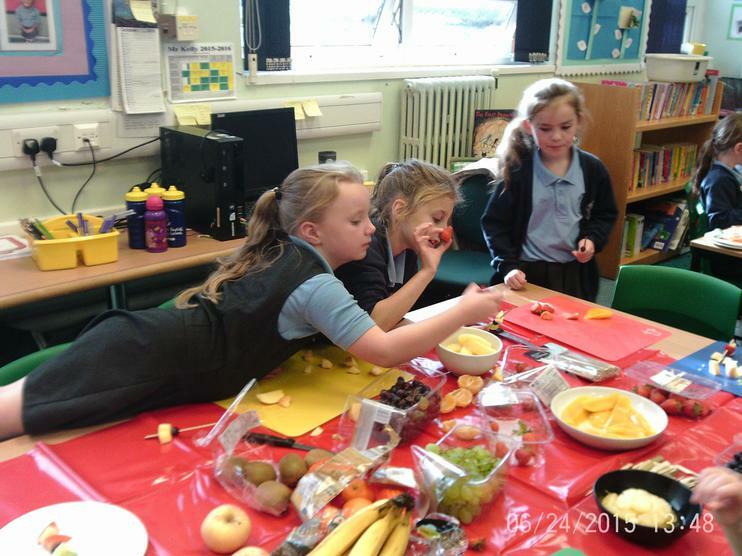 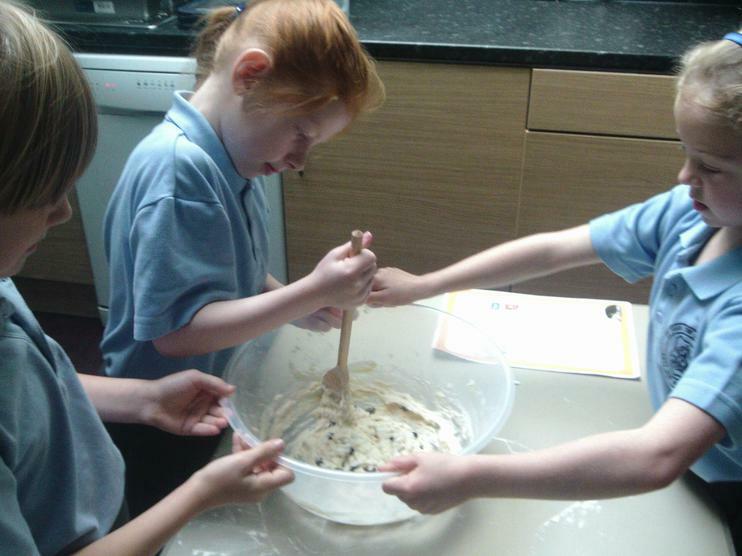 Year 3 had a fantastic time designing and making healthy snacks. 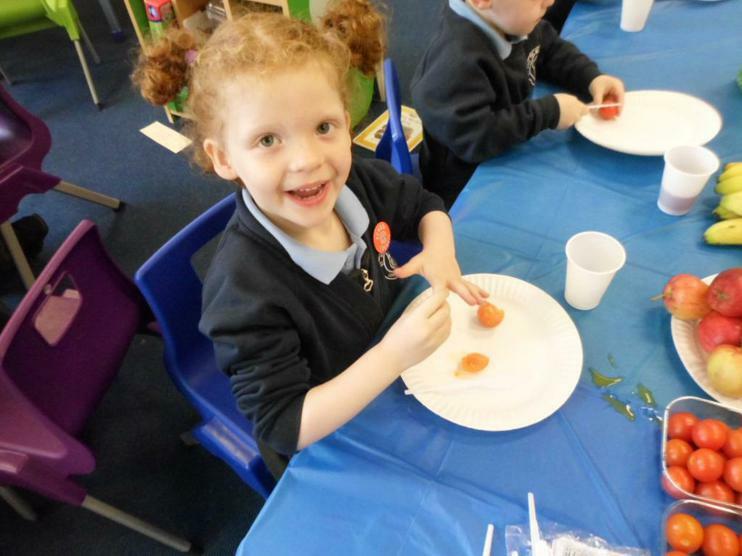 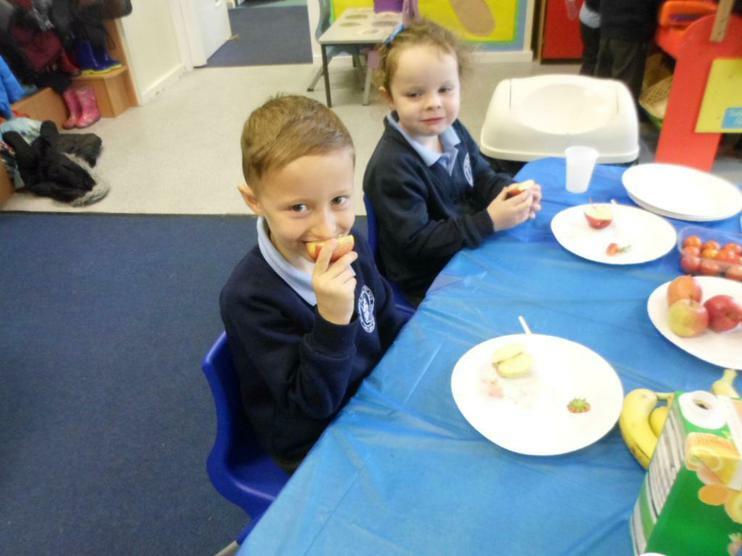 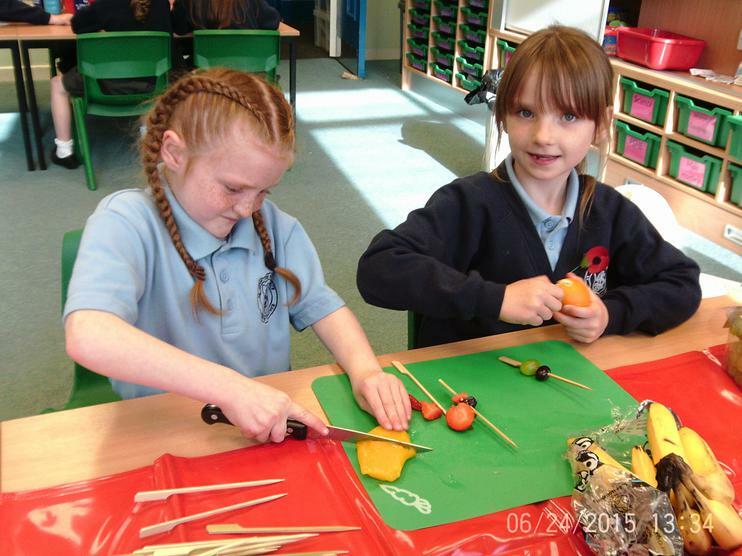 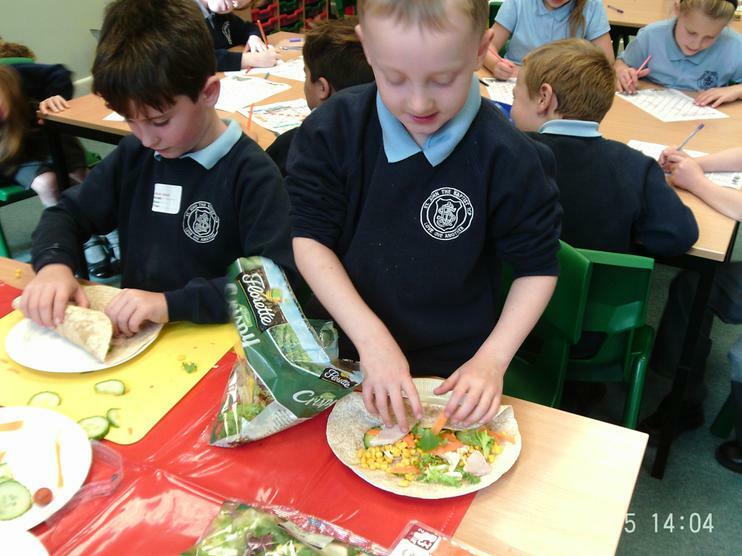 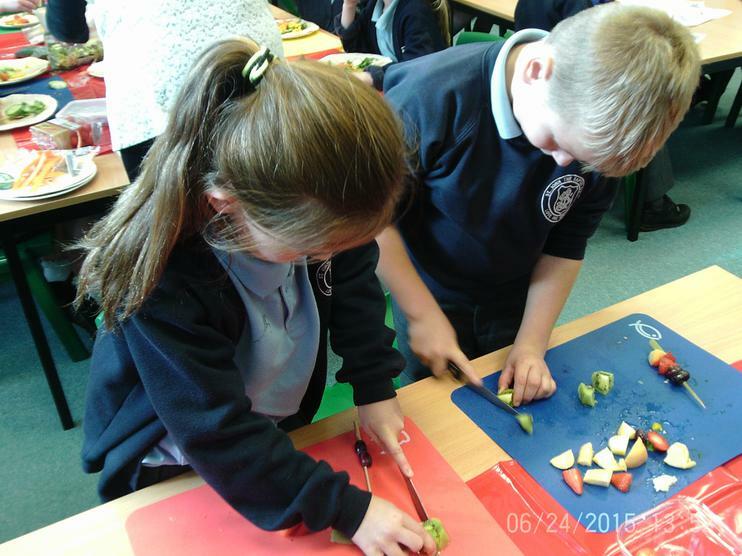 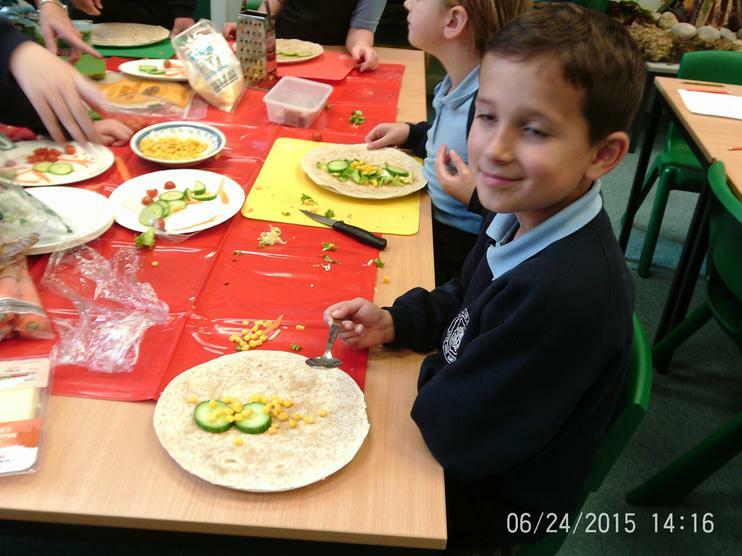 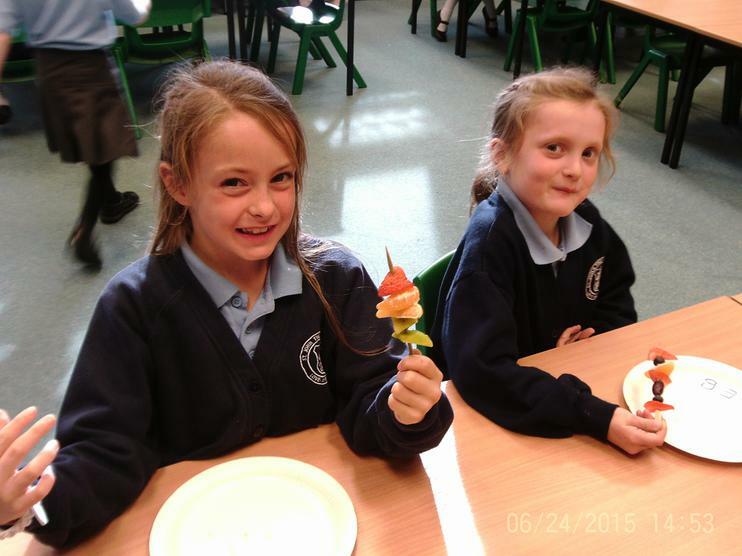 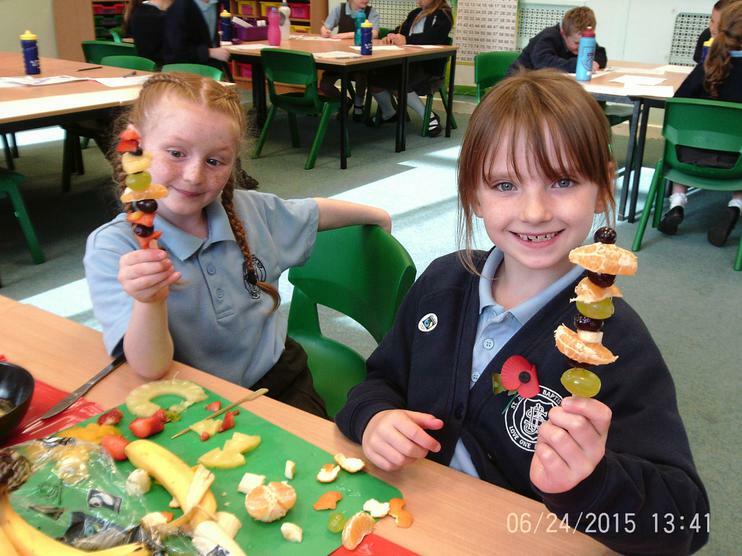 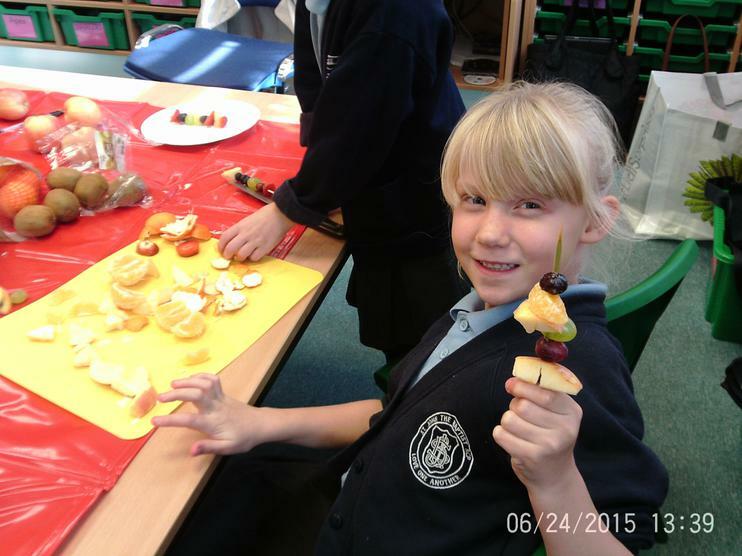 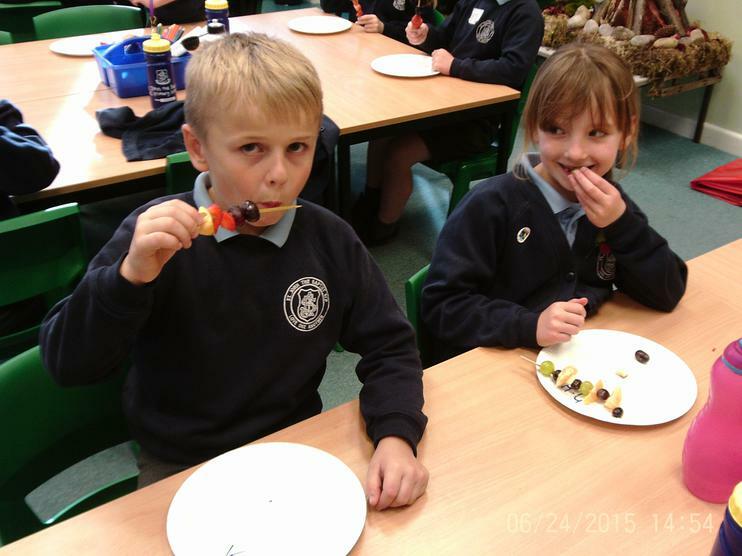 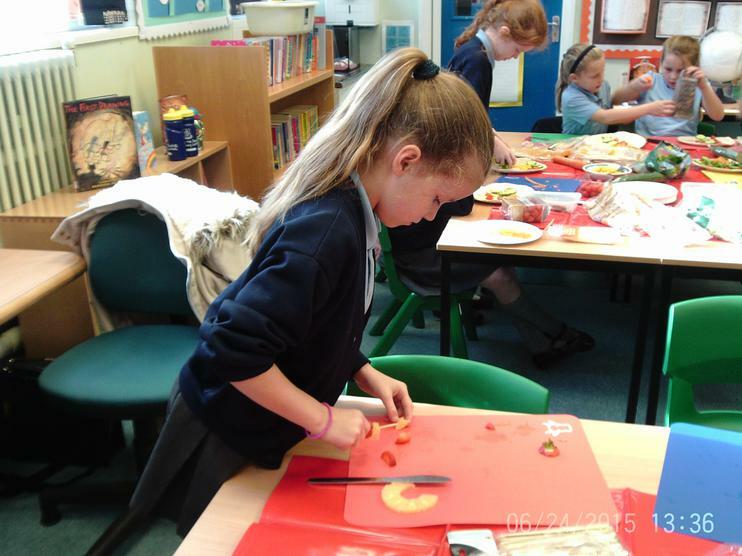 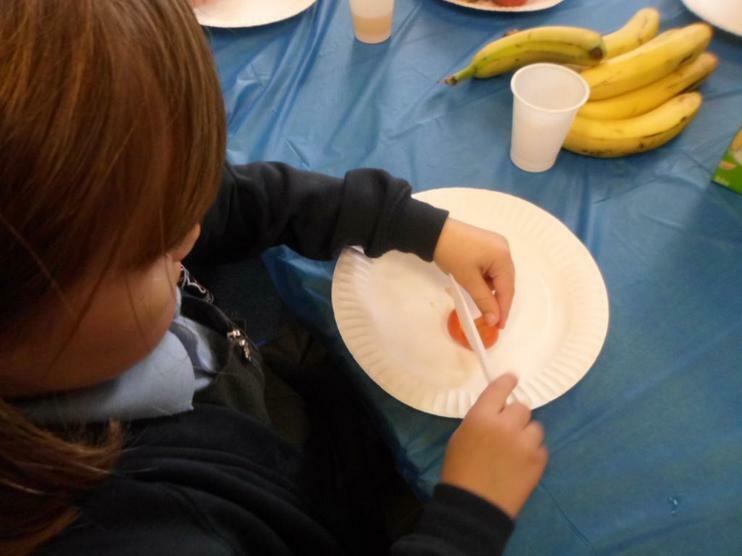 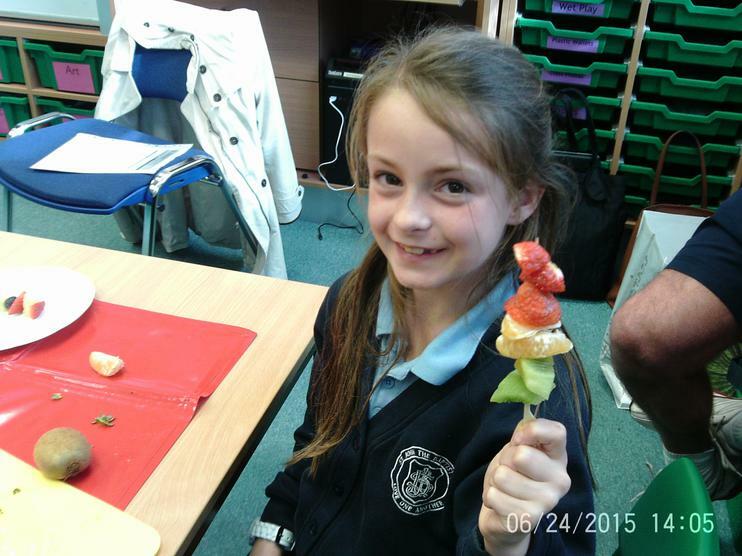 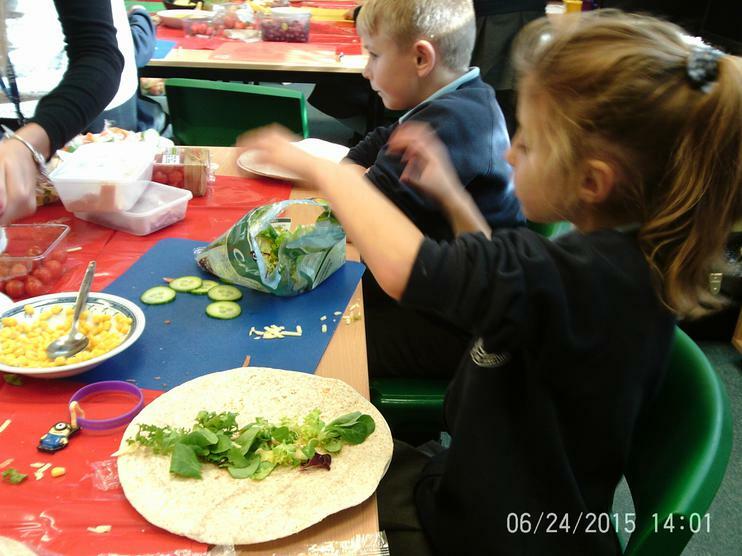 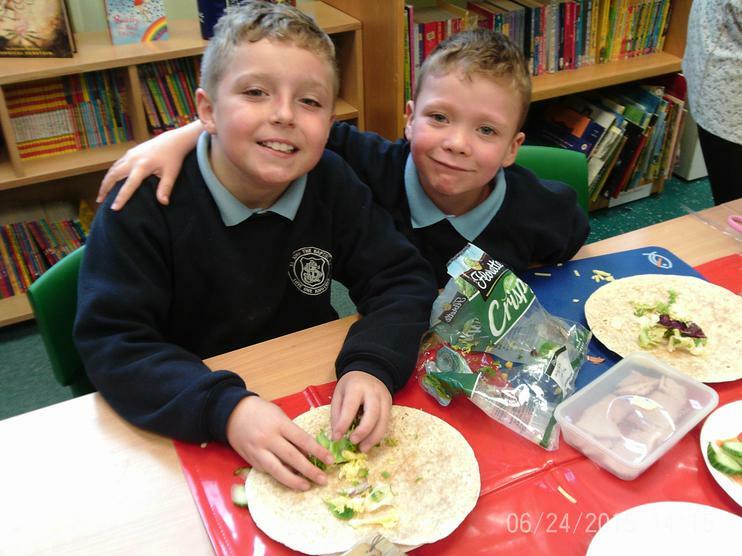 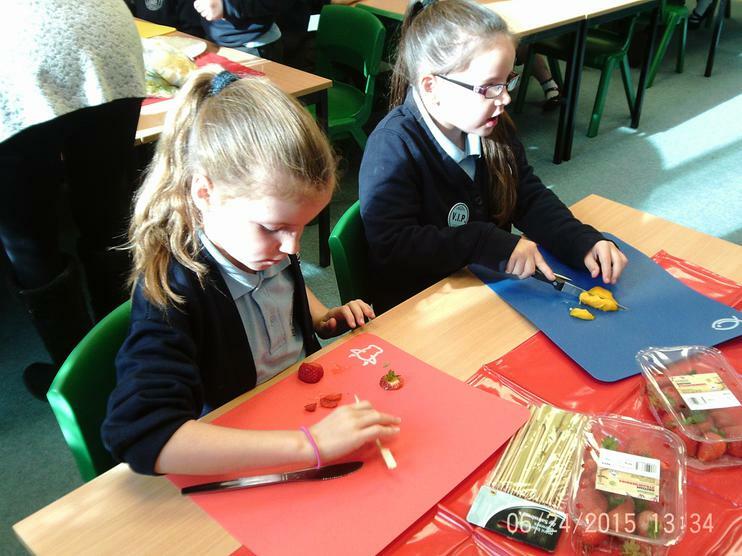 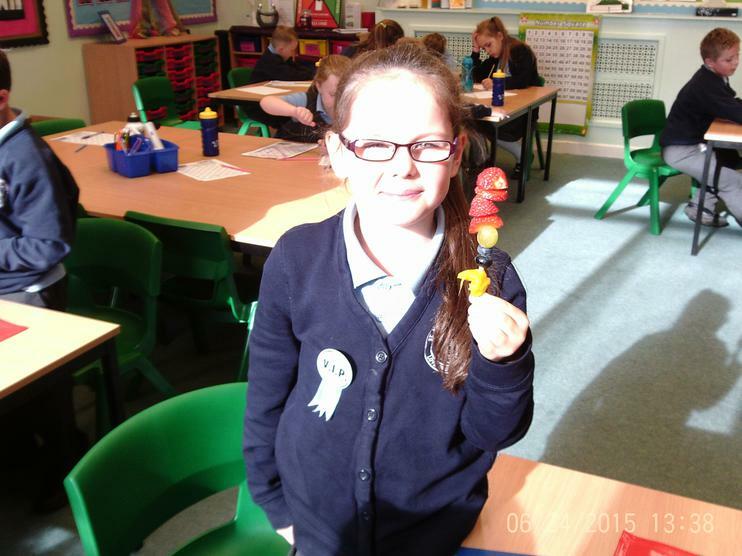 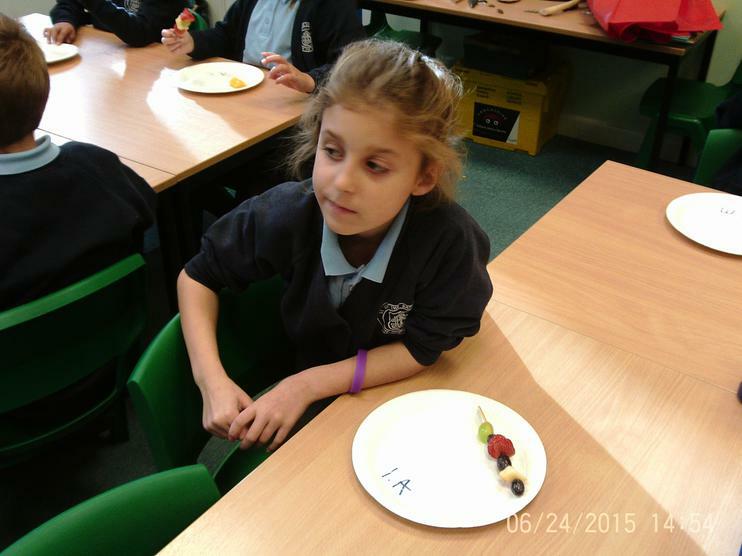 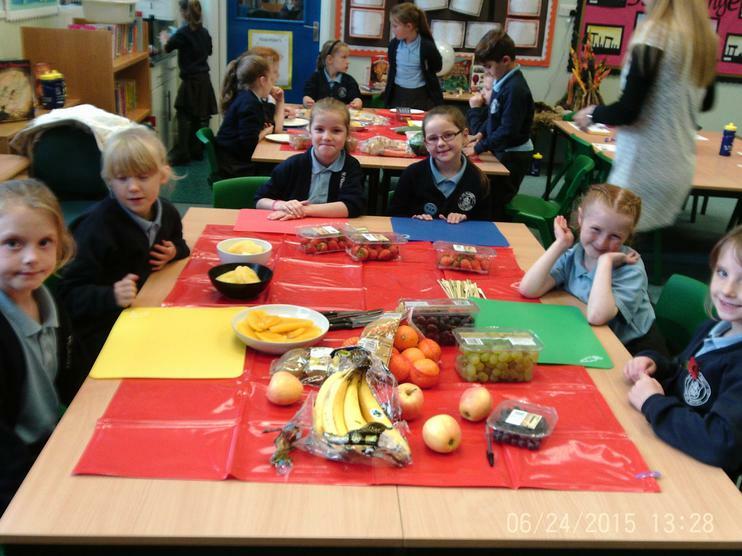 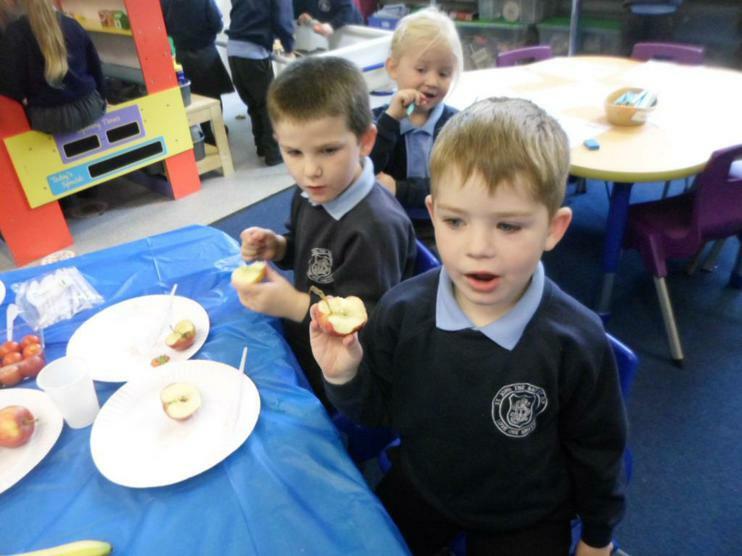 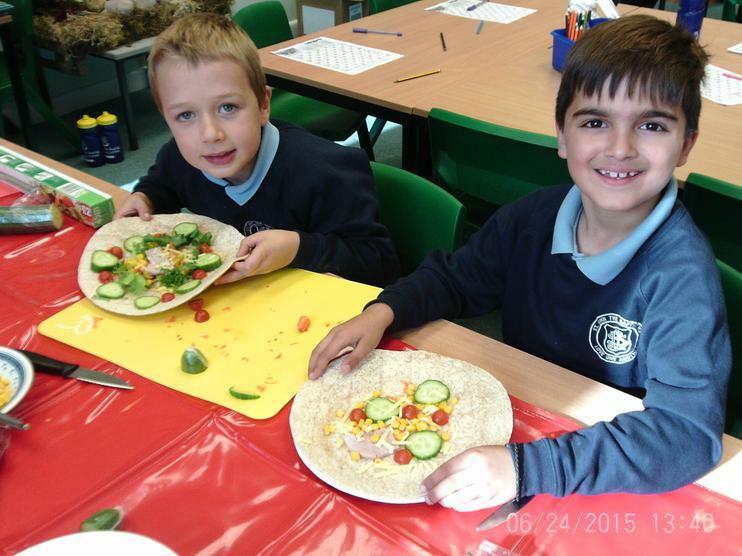 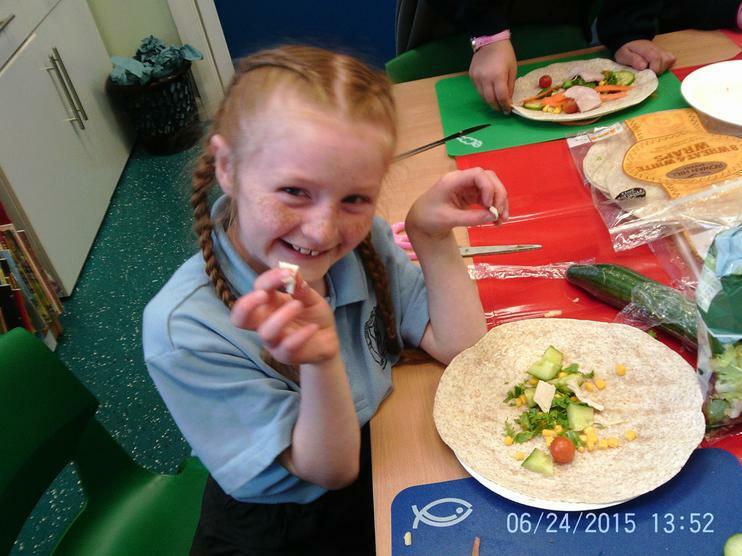 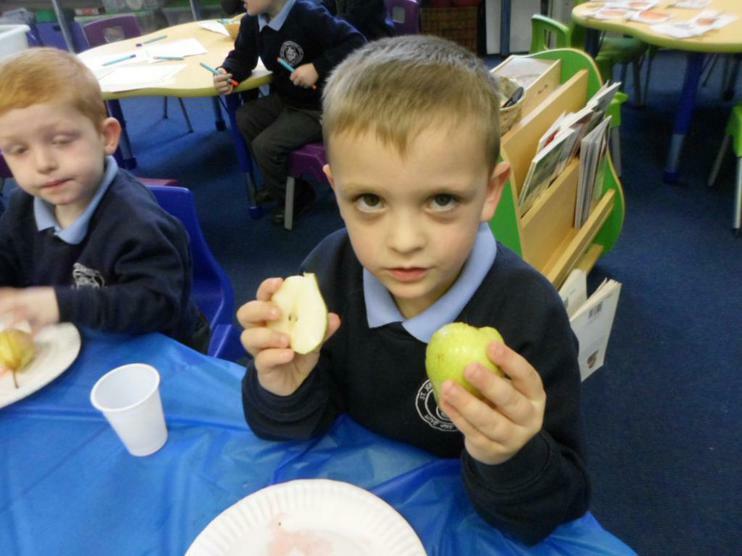 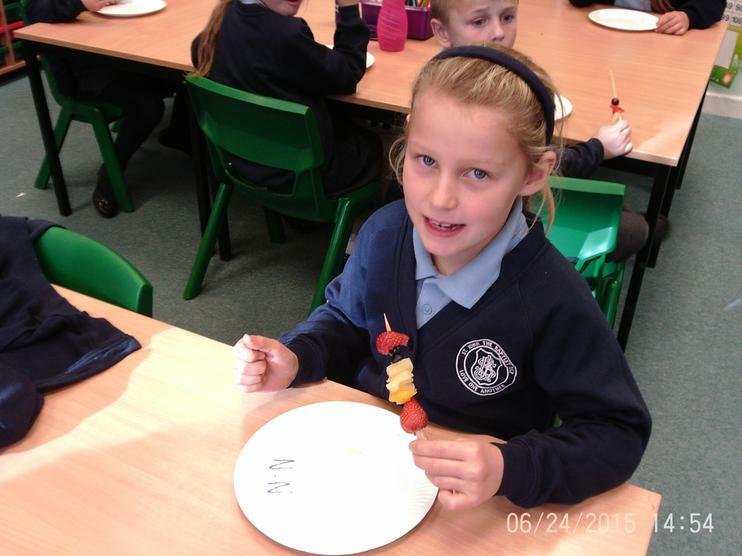 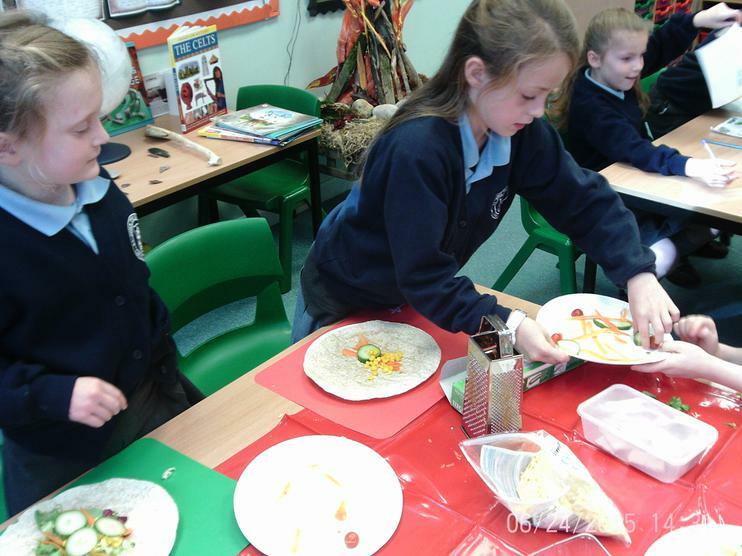 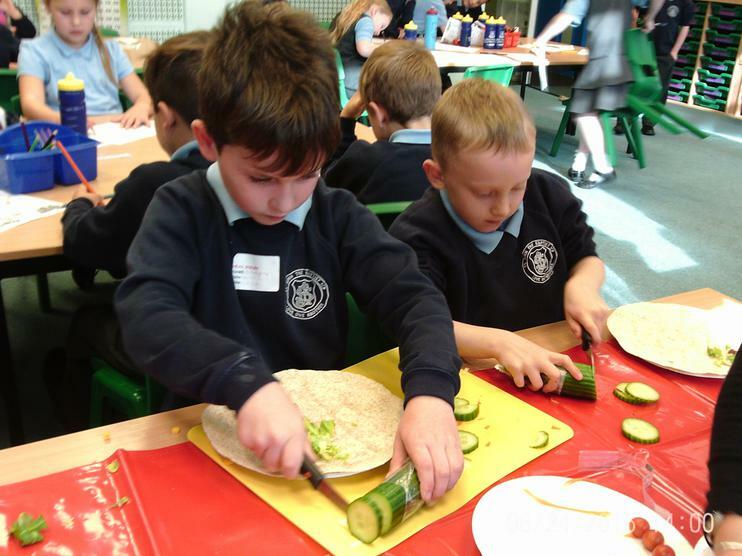 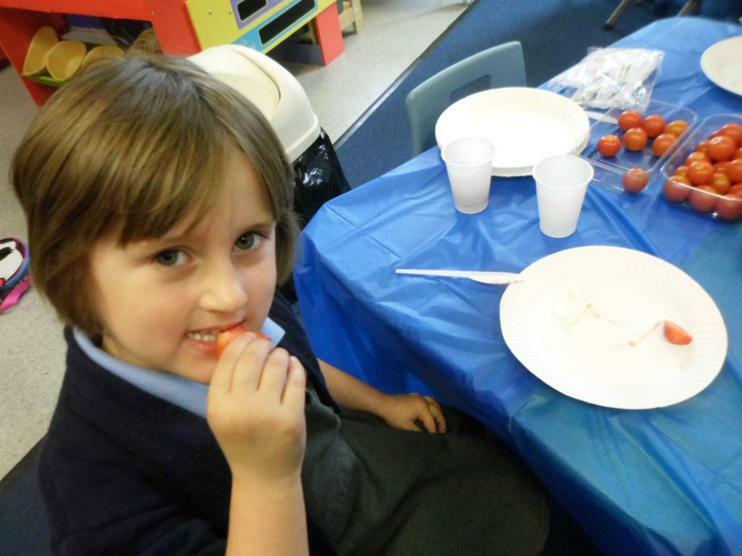 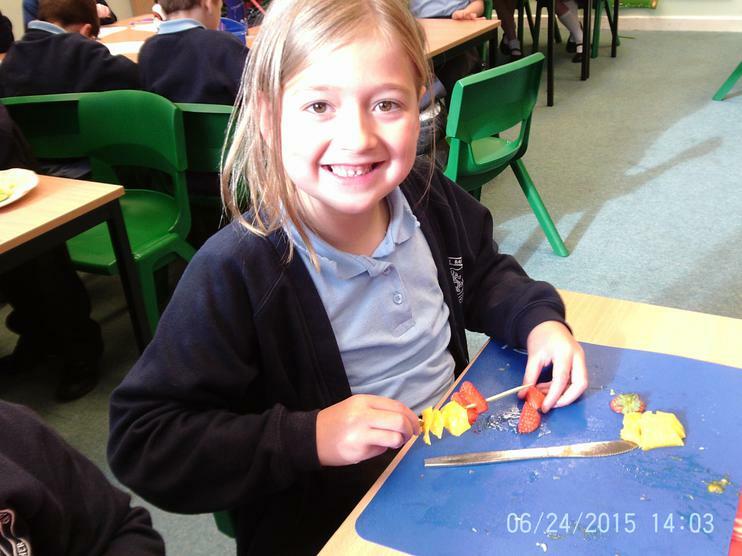 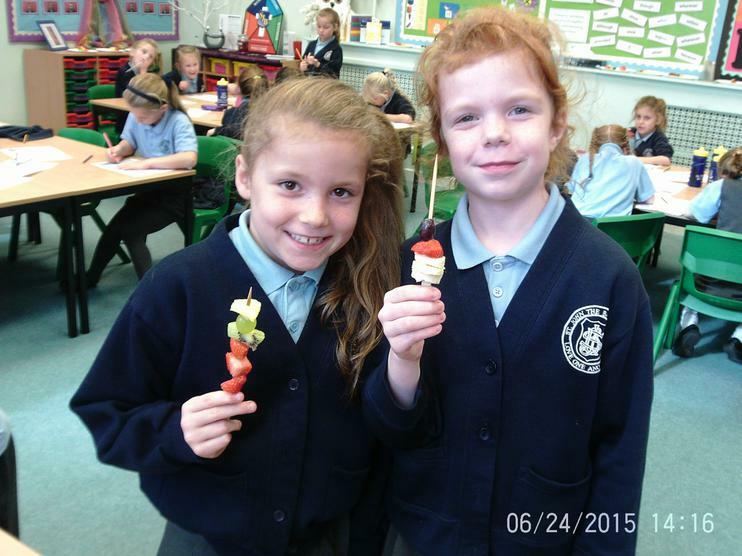 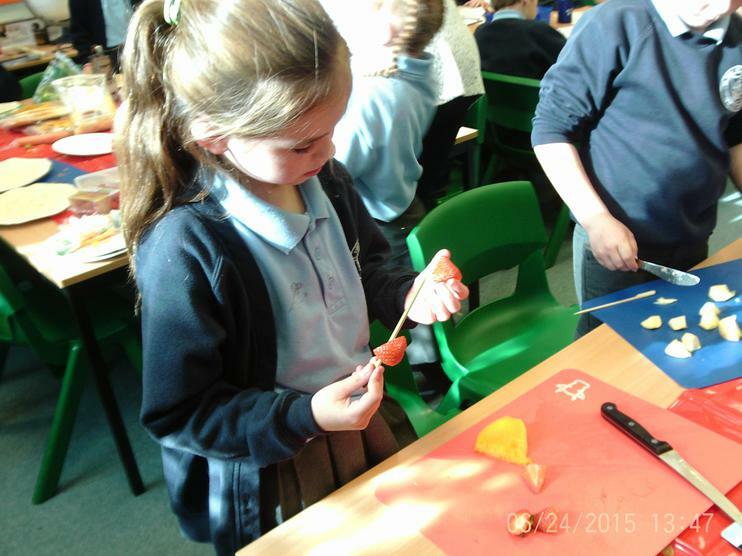 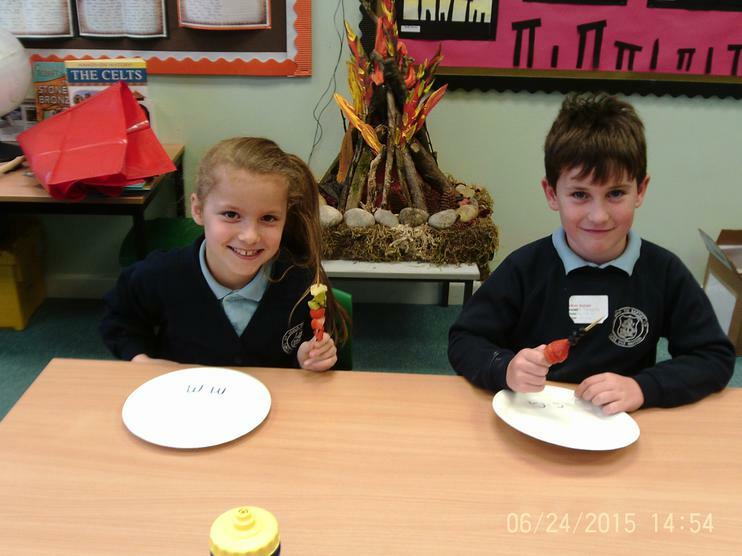 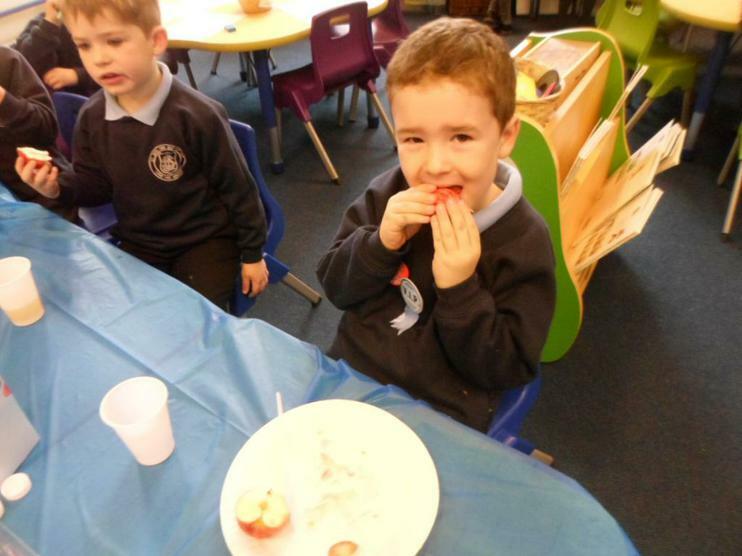 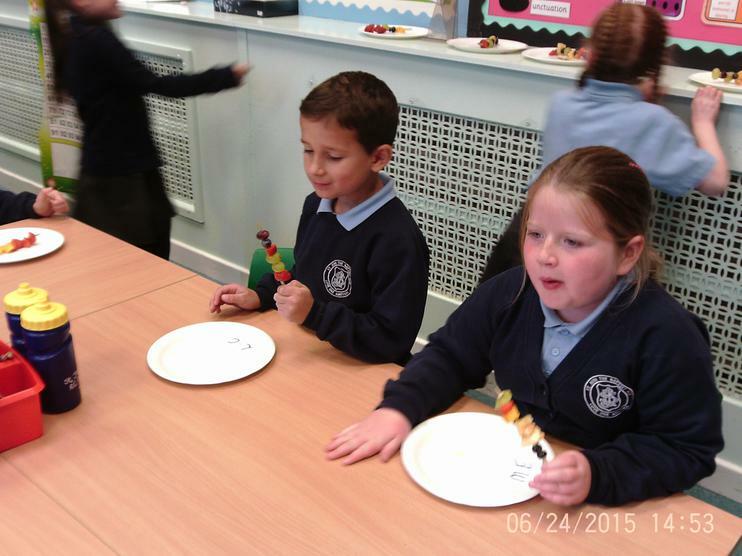 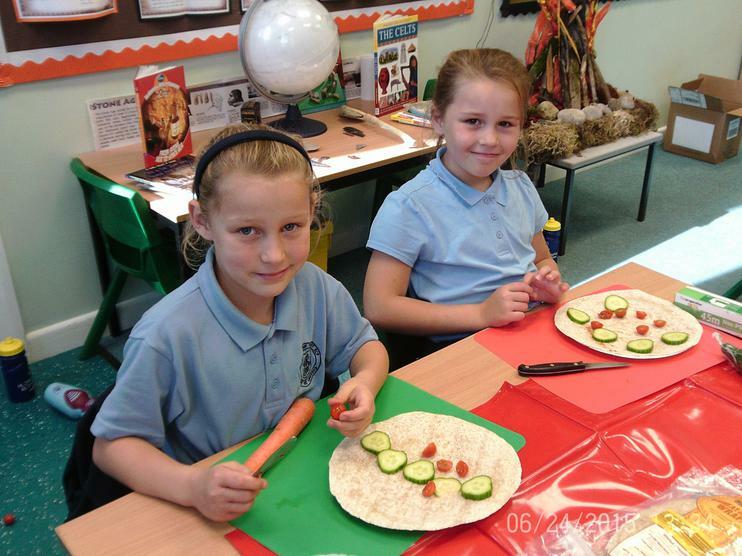 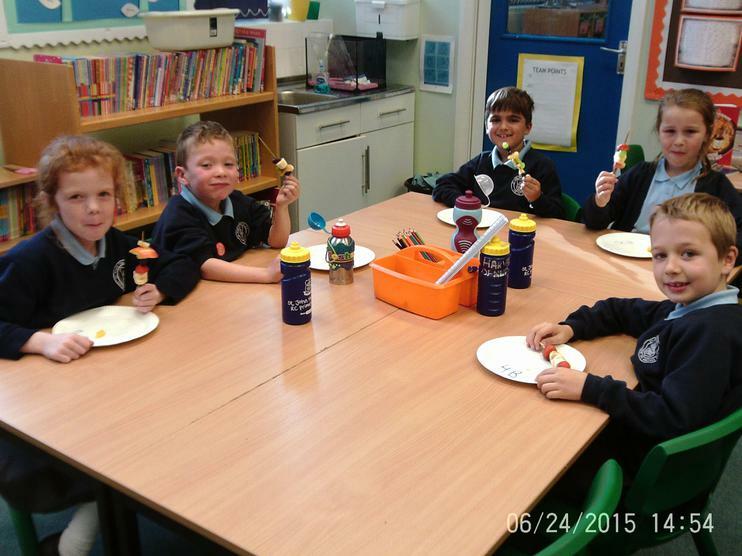 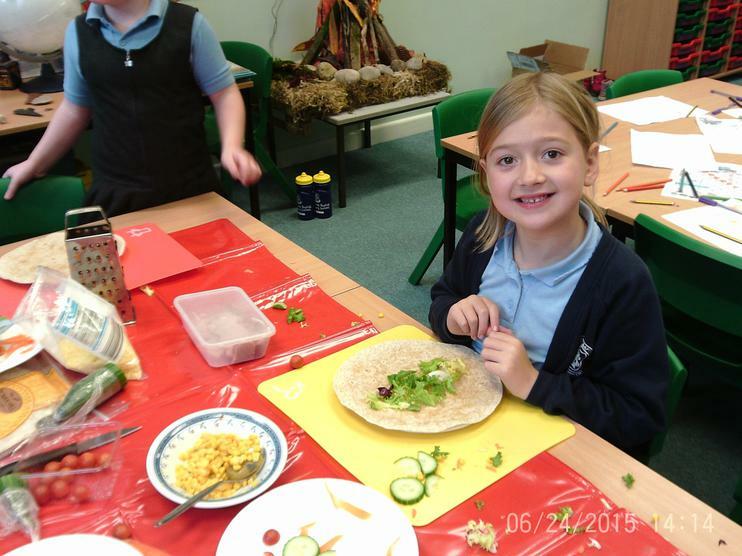 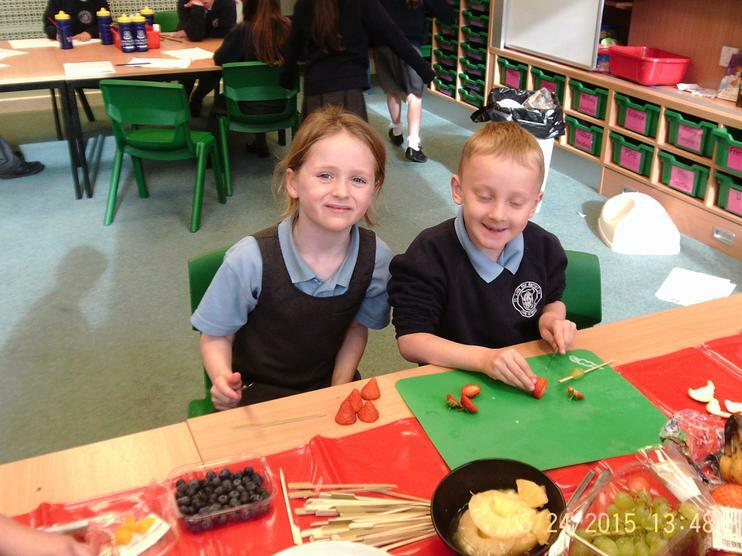 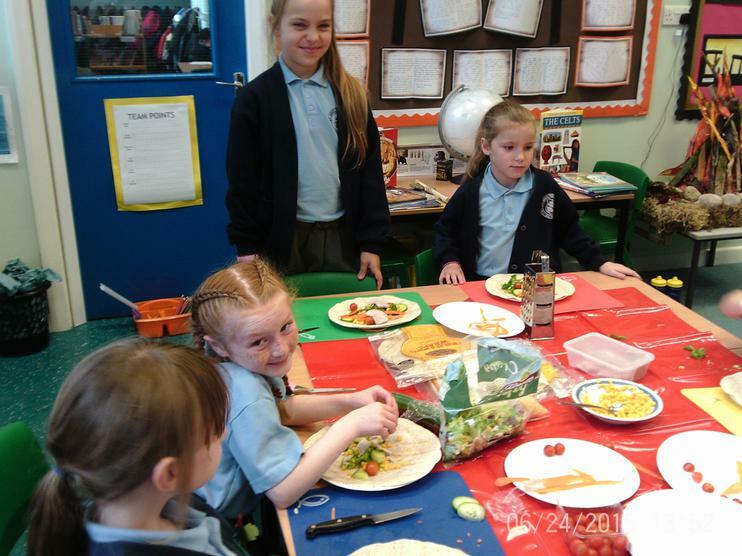 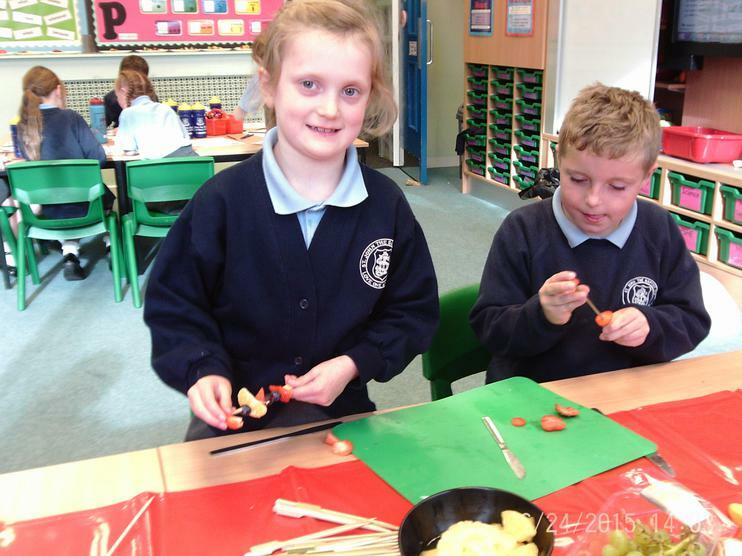 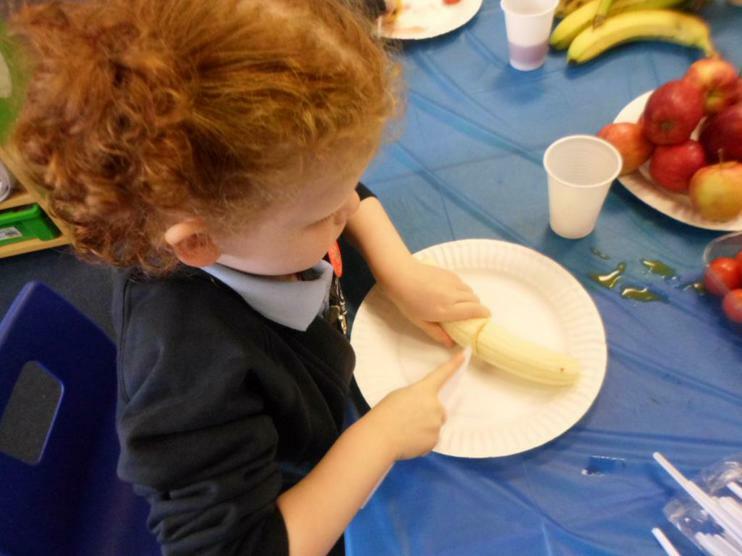 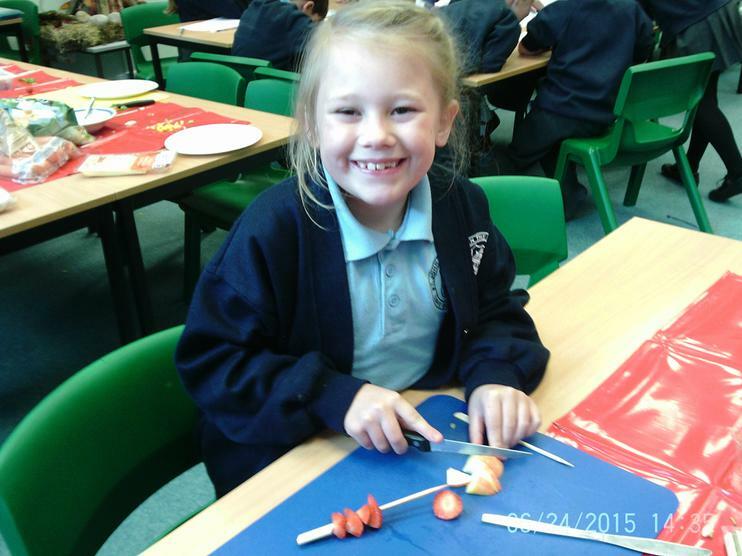 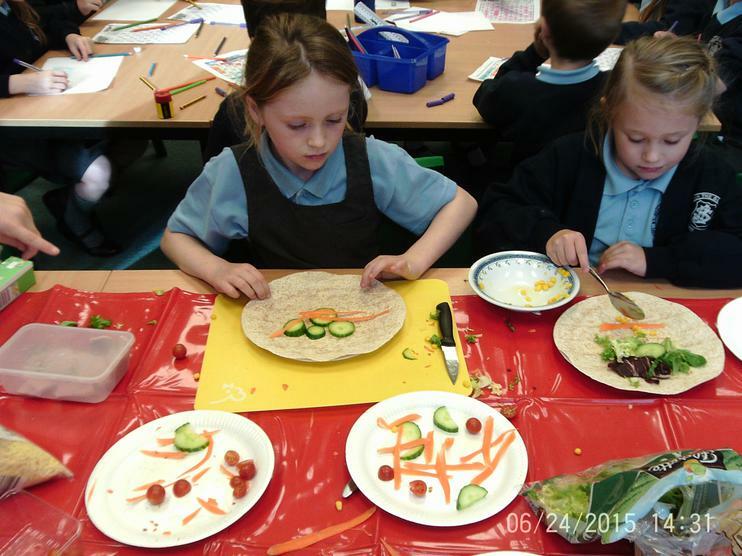 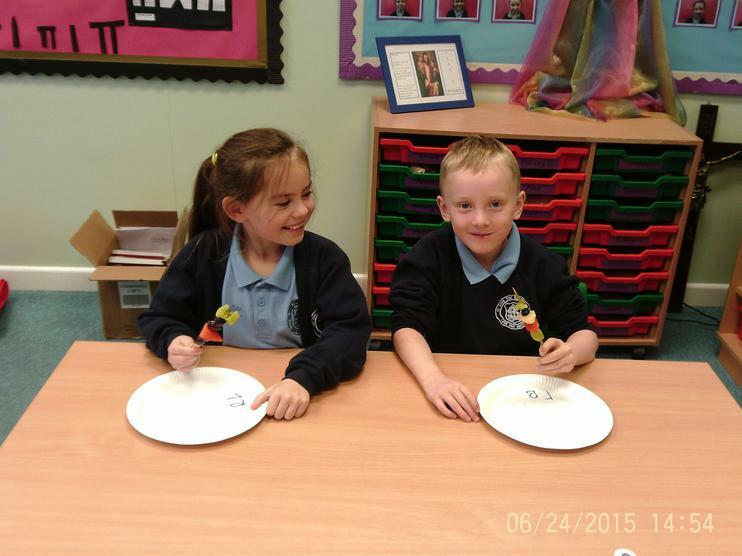 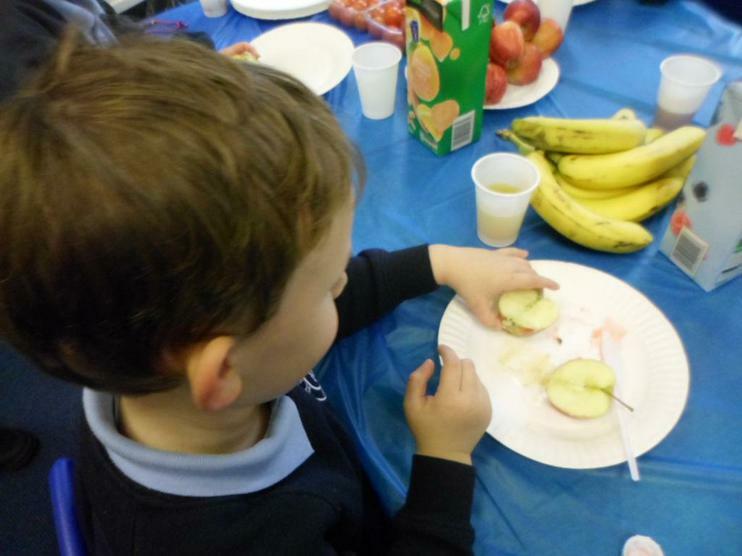 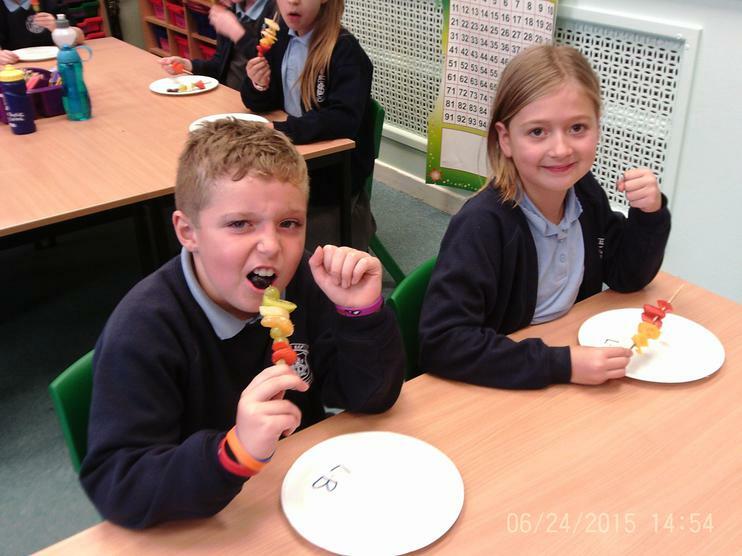 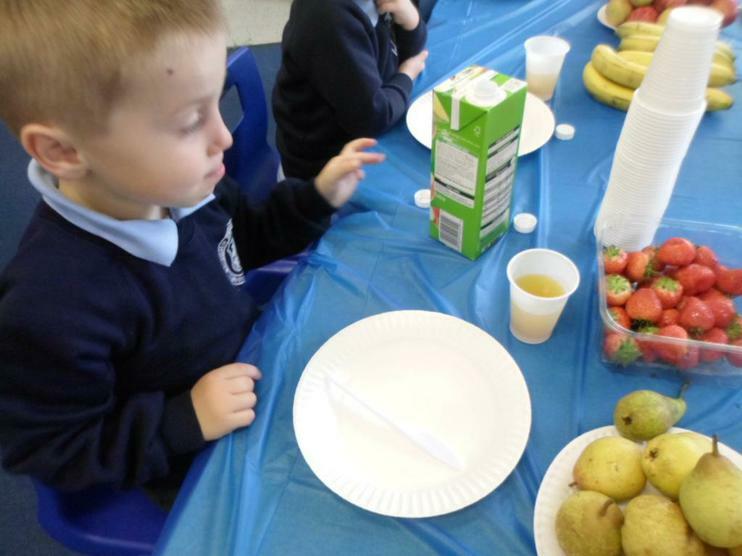 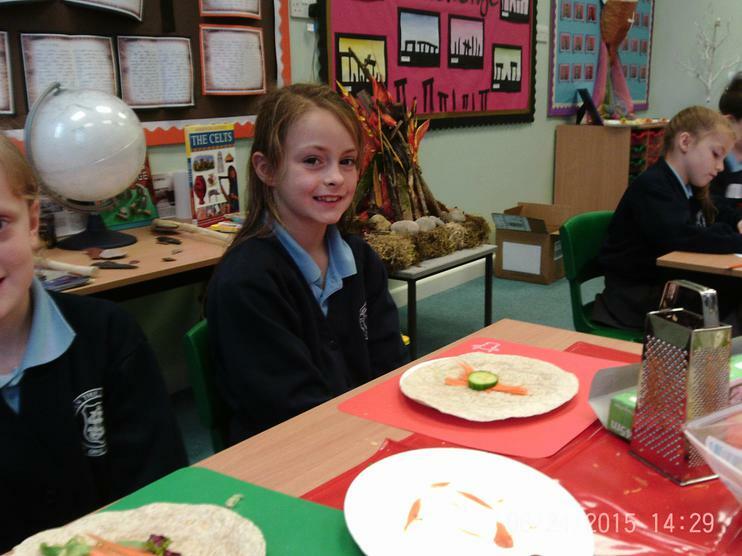 We made healthy wraps and delicious fruit kebabs. 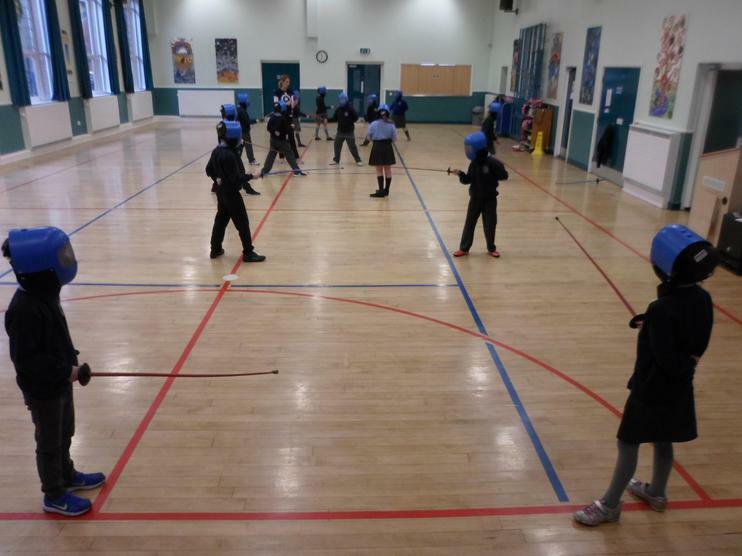 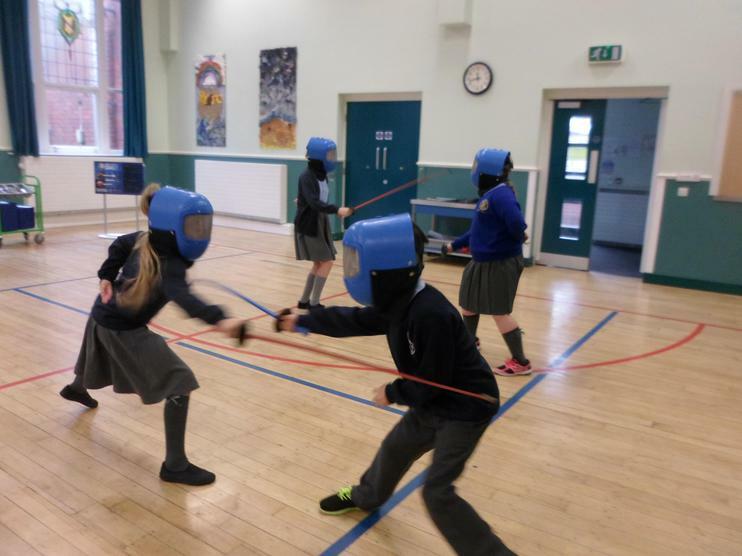 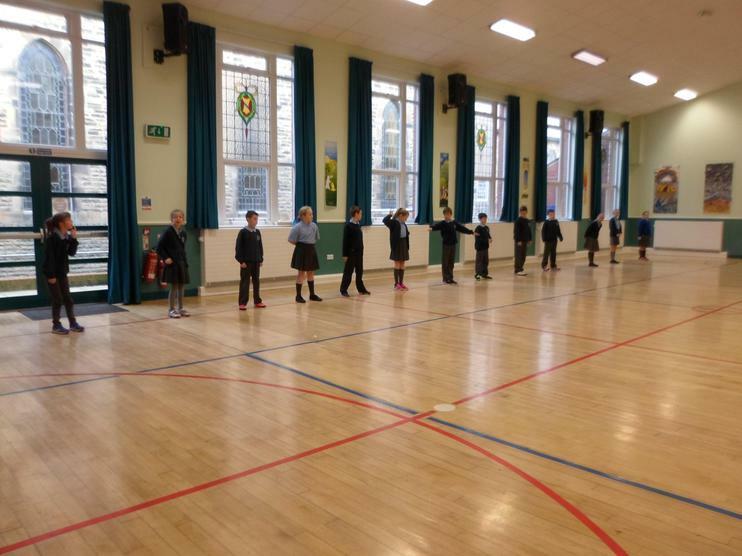 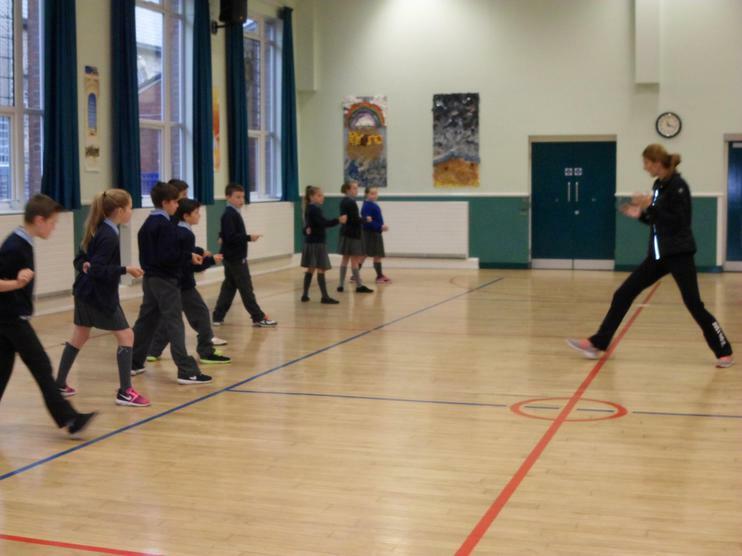 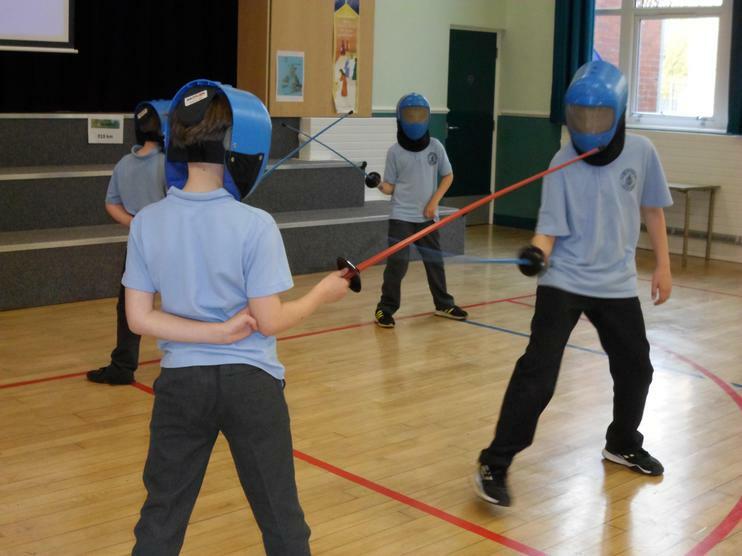 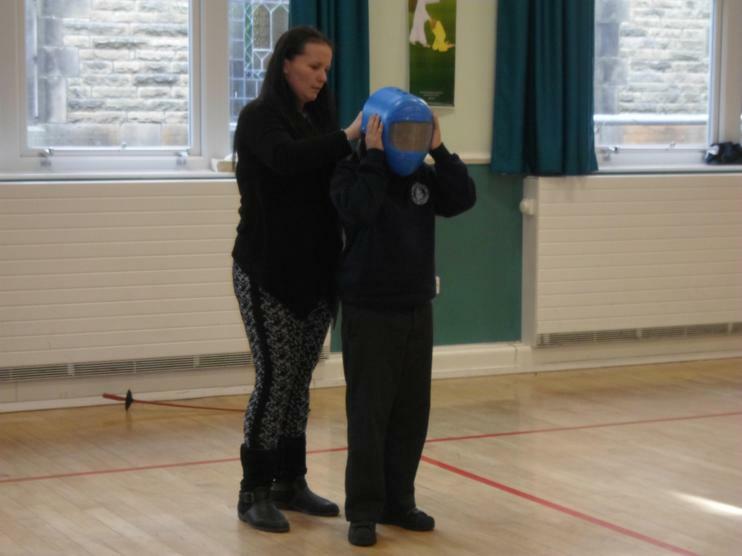 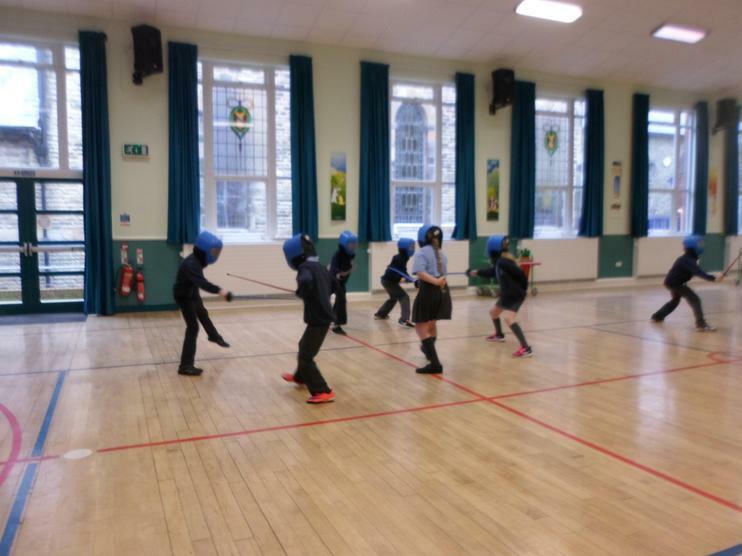 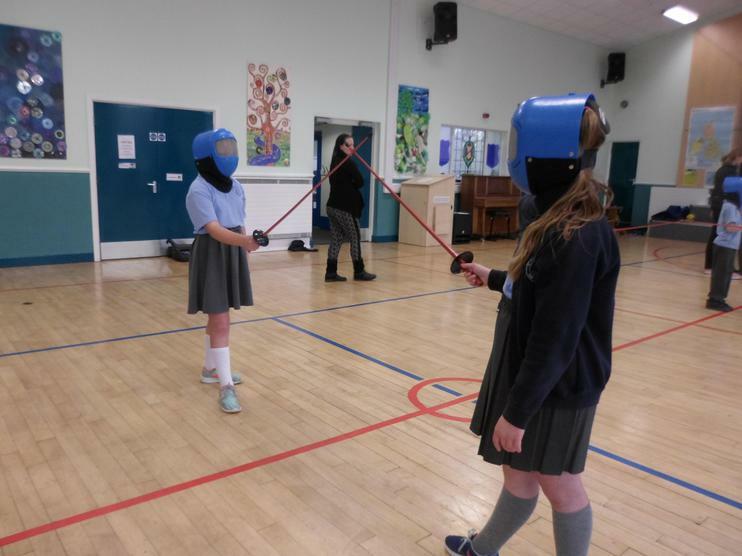 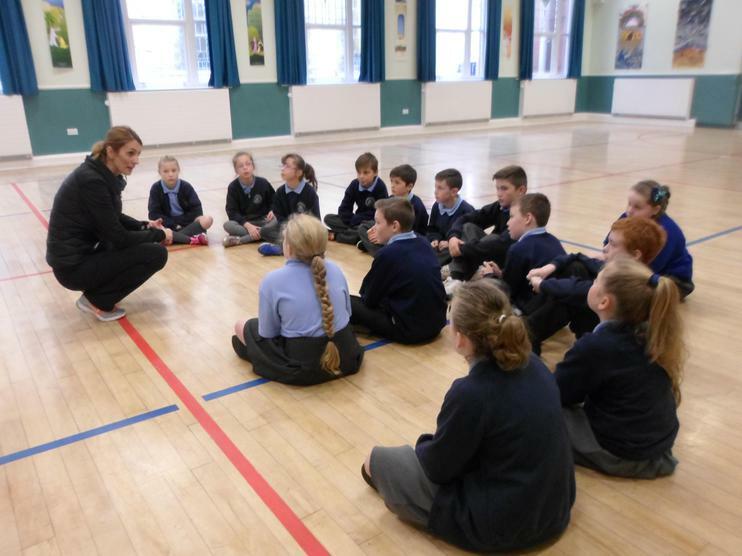 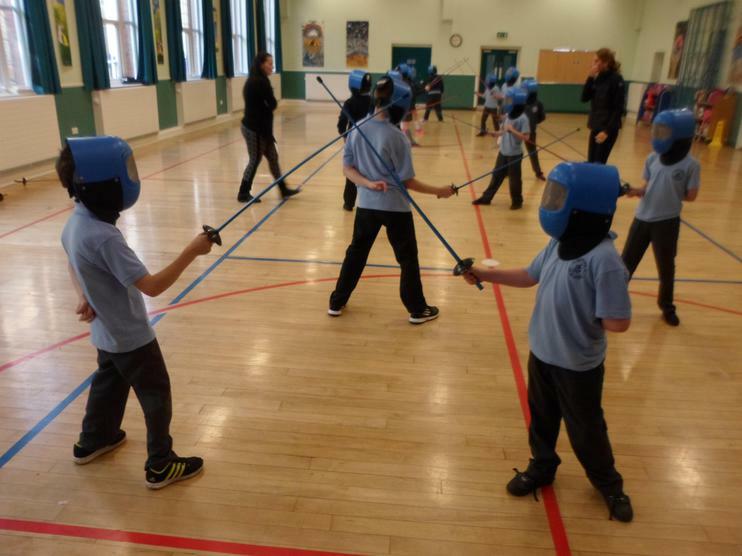 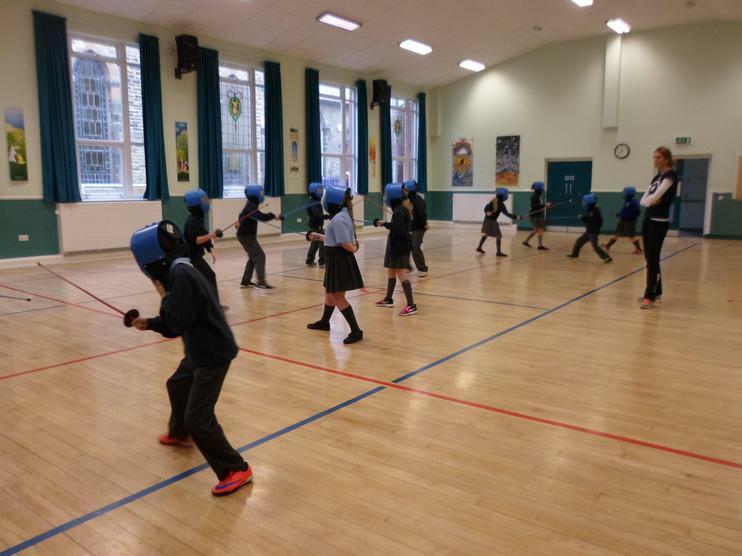 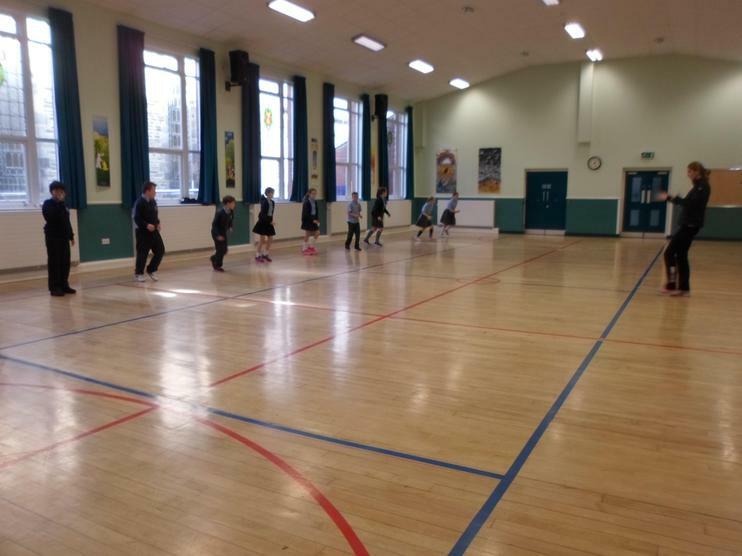 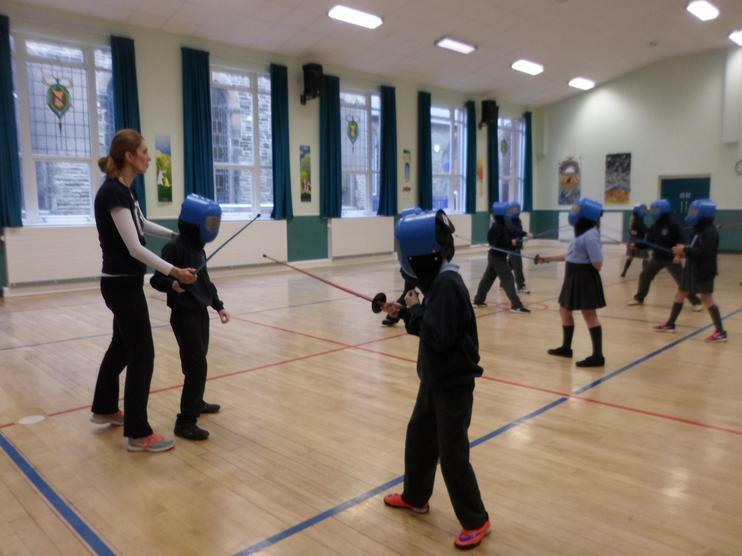 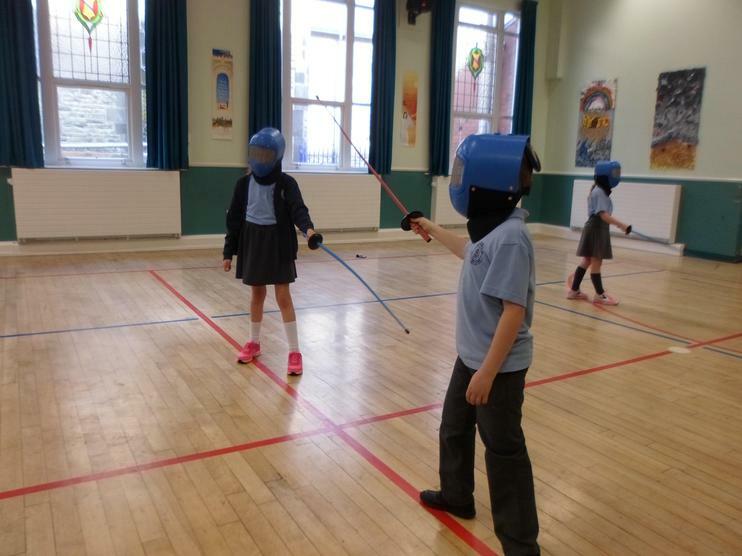 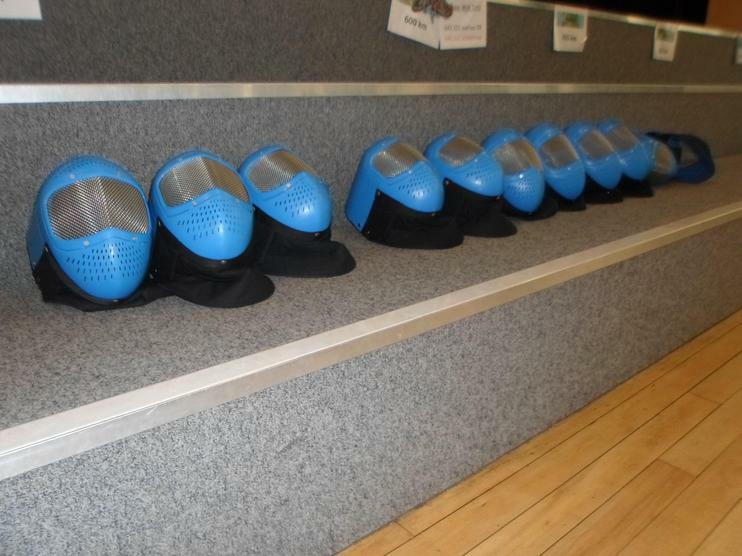 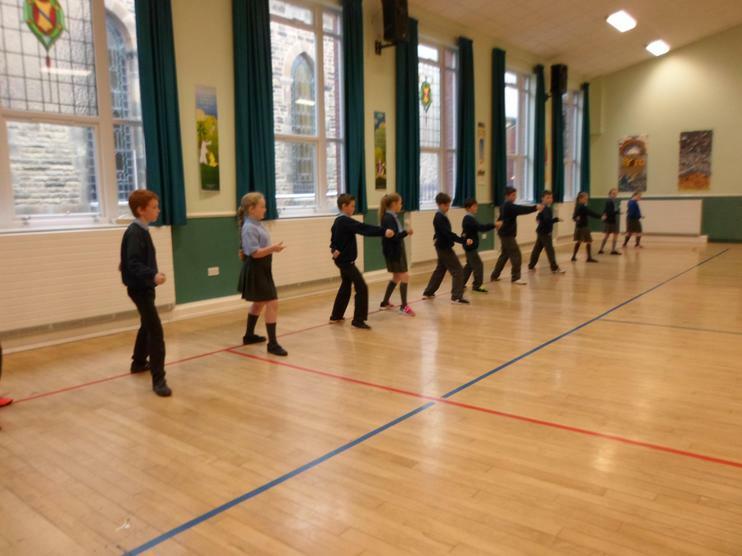 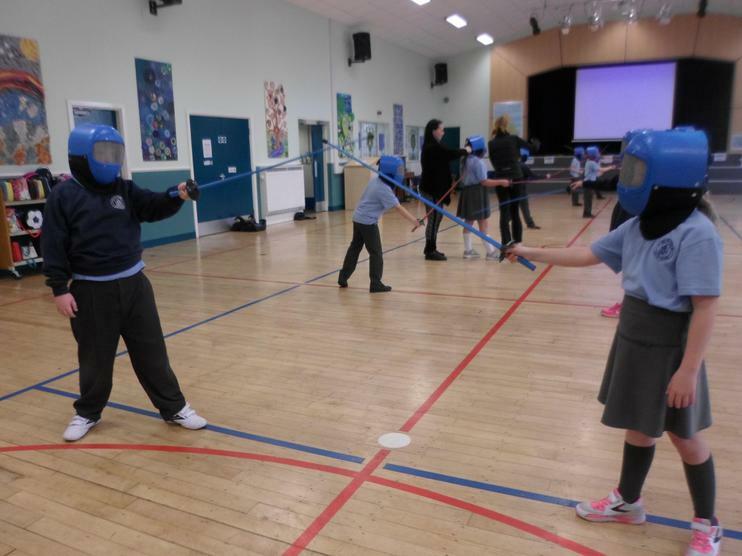 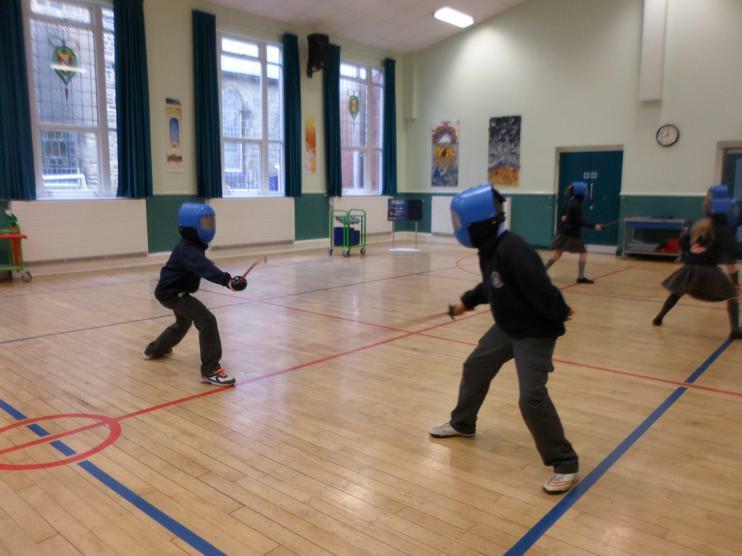 Year 6 had a fantastic session with the Fencing coach and learnt completely new sports skills. 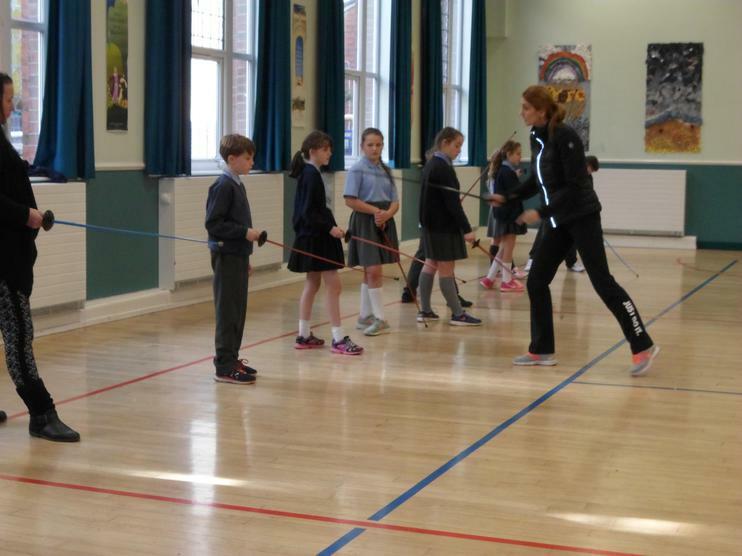 Our coach was awesome! 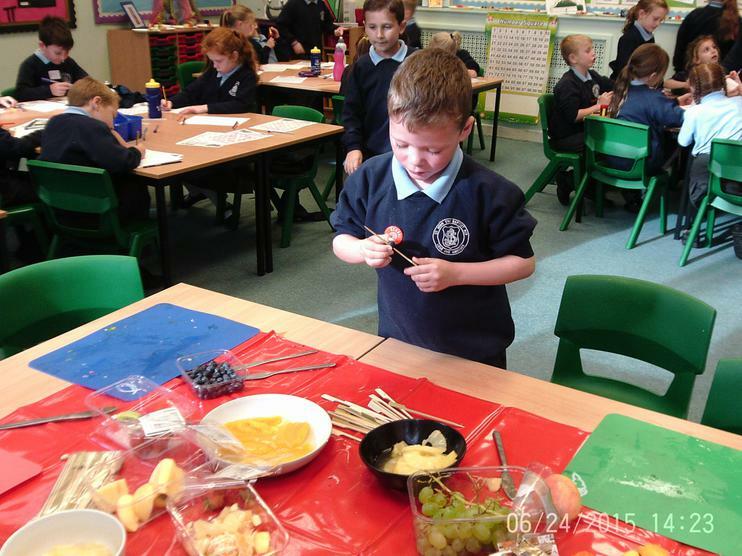 Reception cut fruits in half and tasted them. 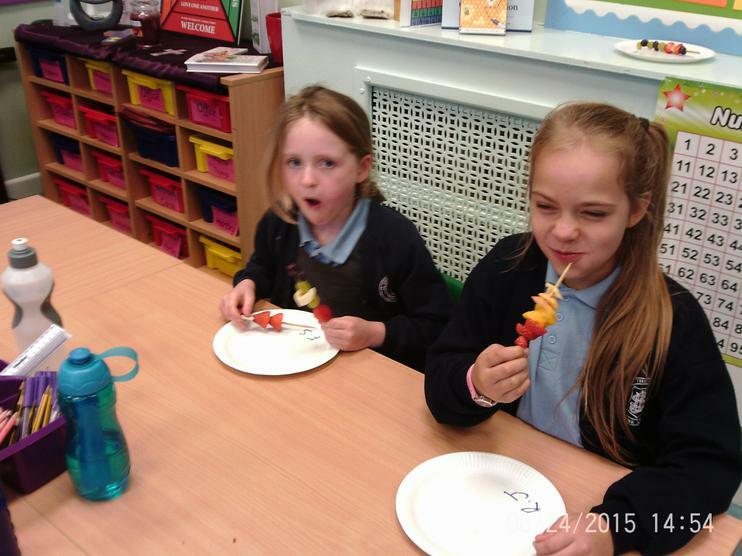 Yum yum! 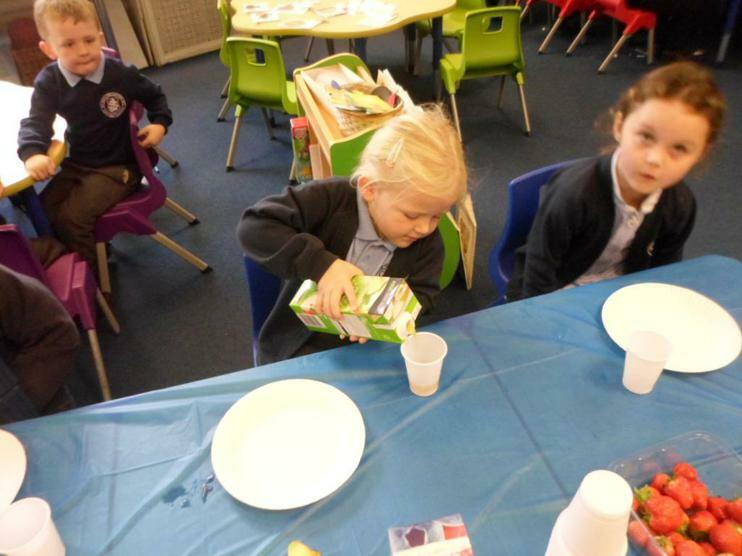 Also,we filled our cups half full with fruit juice.